Minagawa castle (皆川城) is located at Shiroyama mountain, a 100 meter height mountain from hillside at the west part of Tochigi city. 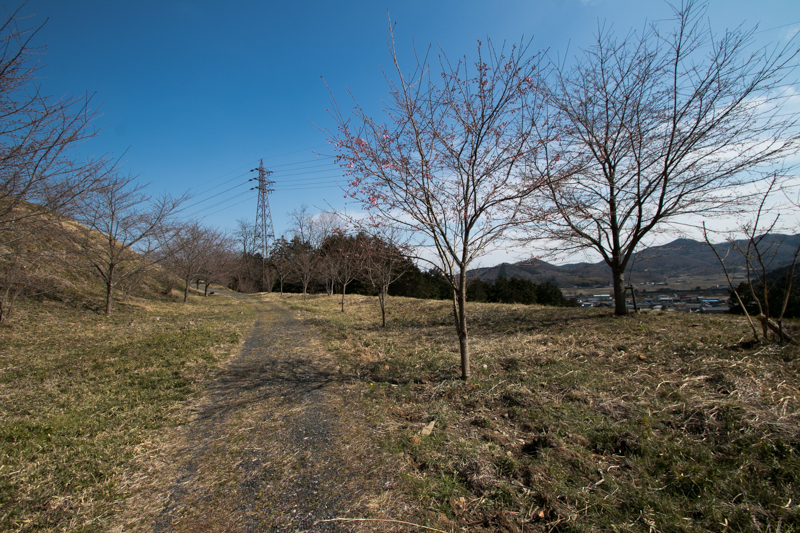 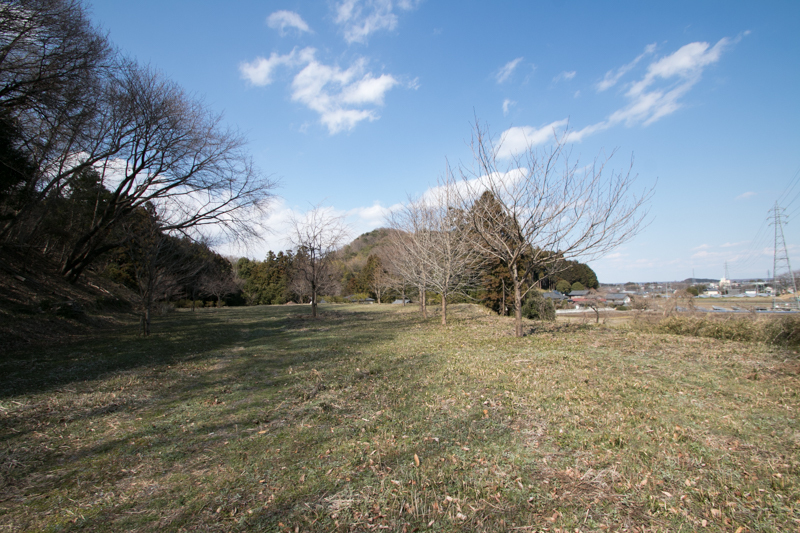 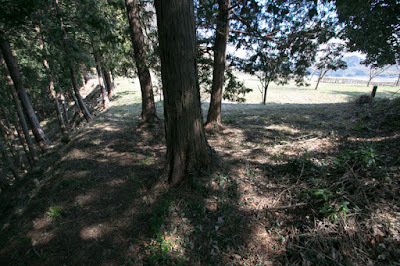 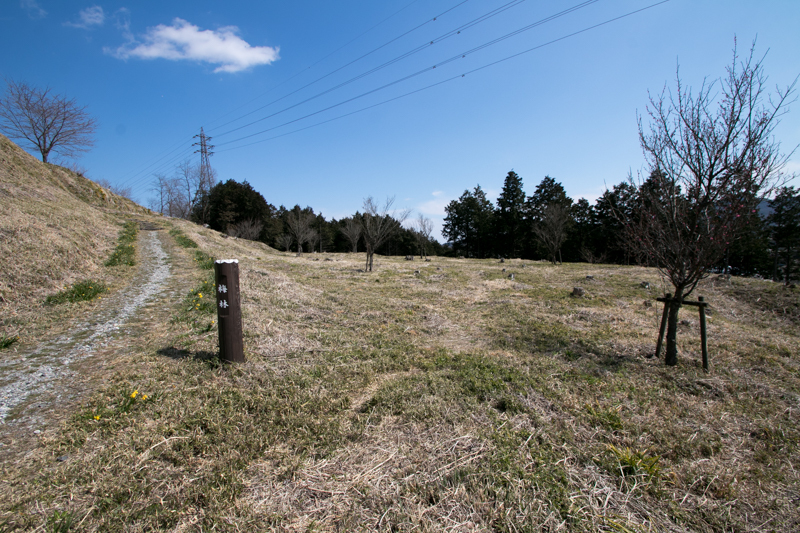 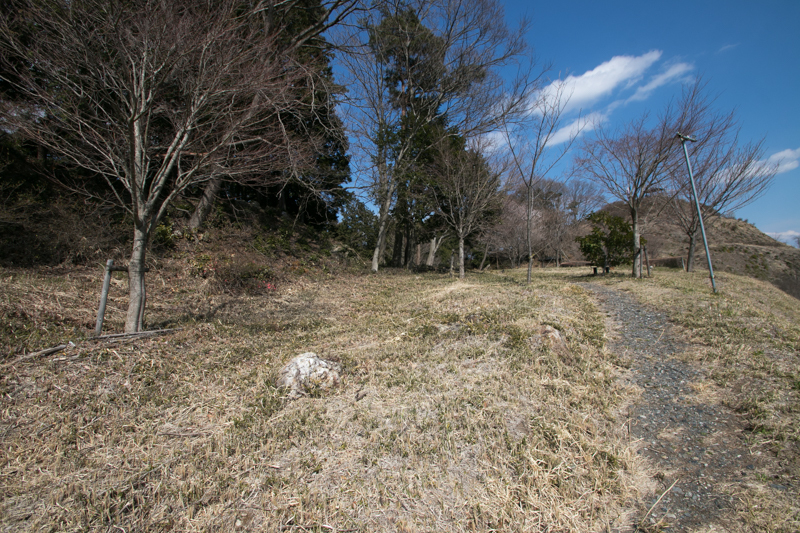 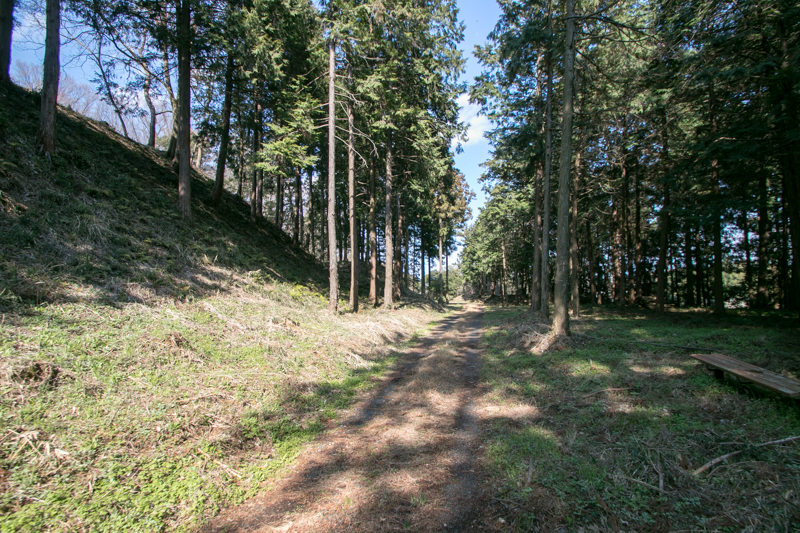 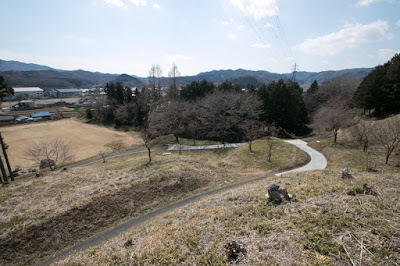 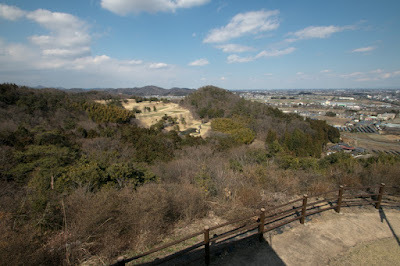 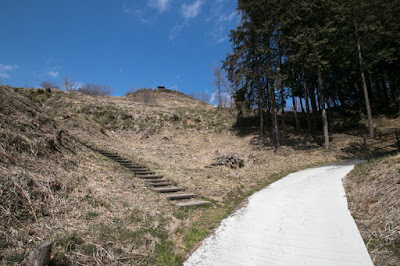 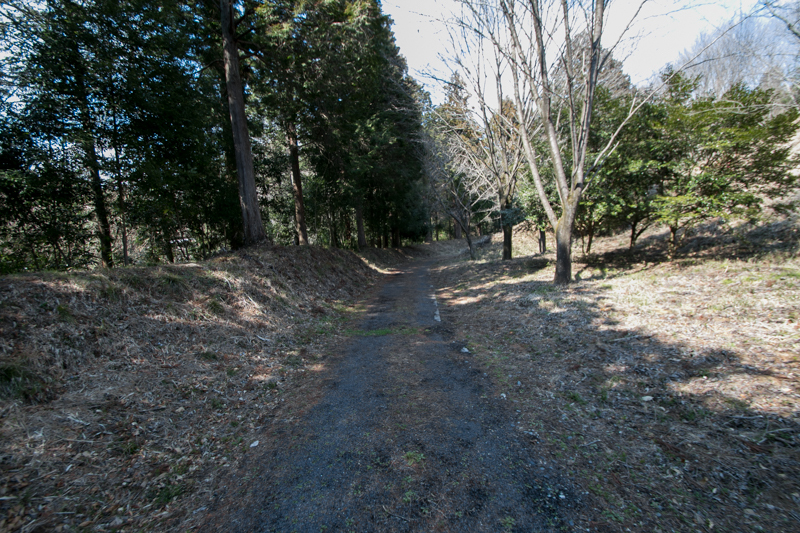 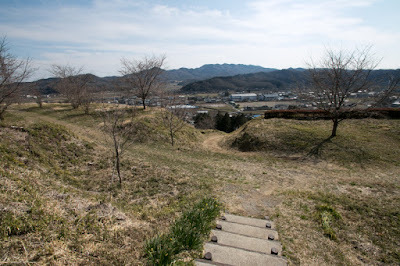 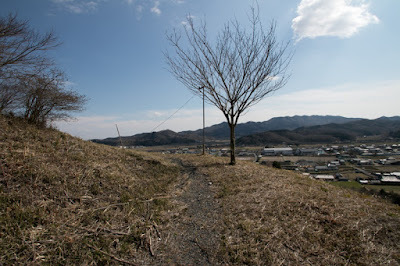 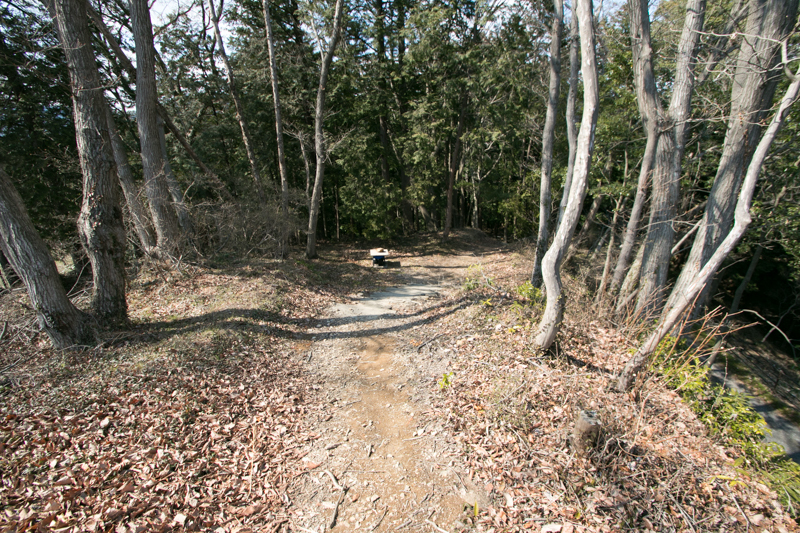 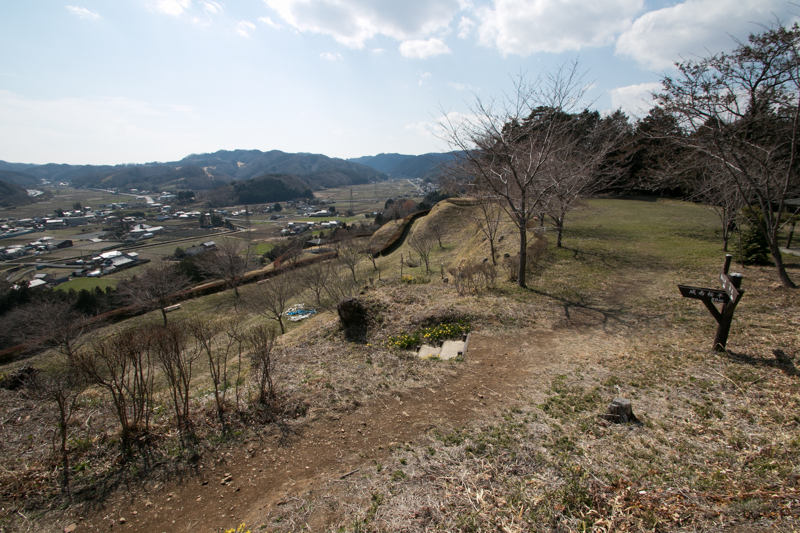 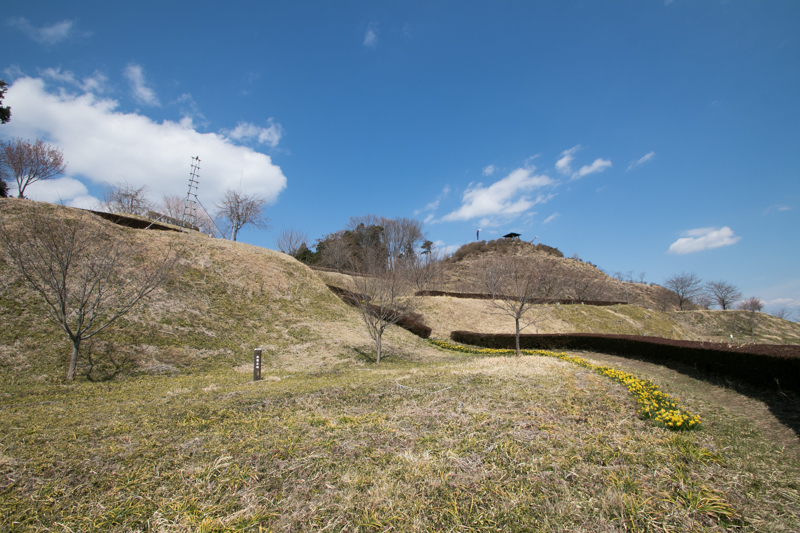 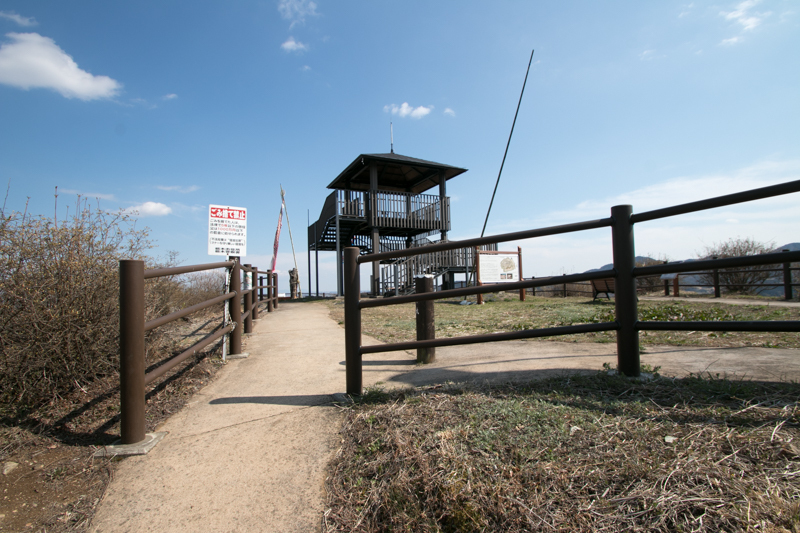 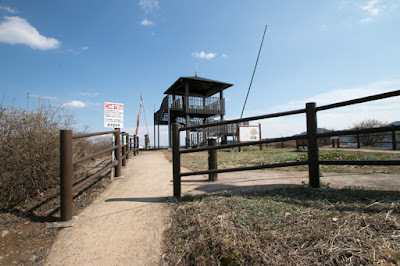 The site of the castle is the border of Kanto plain and western mountainous area, and guarded its back side by mountains (now totally developed as golf course) and front side by river, it is an appropriate place to build a main base for local lord. 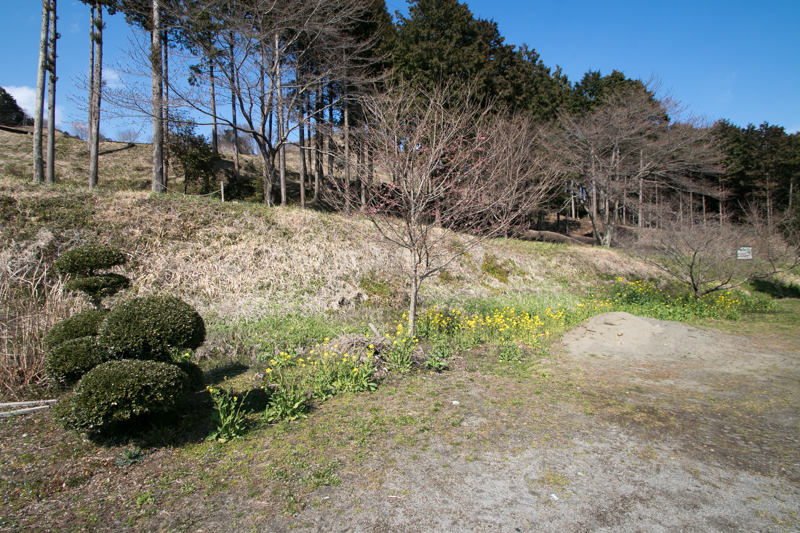 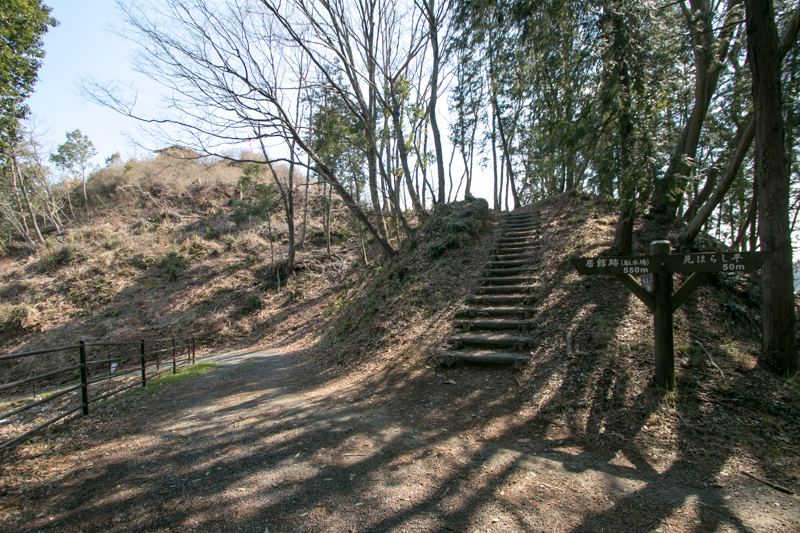 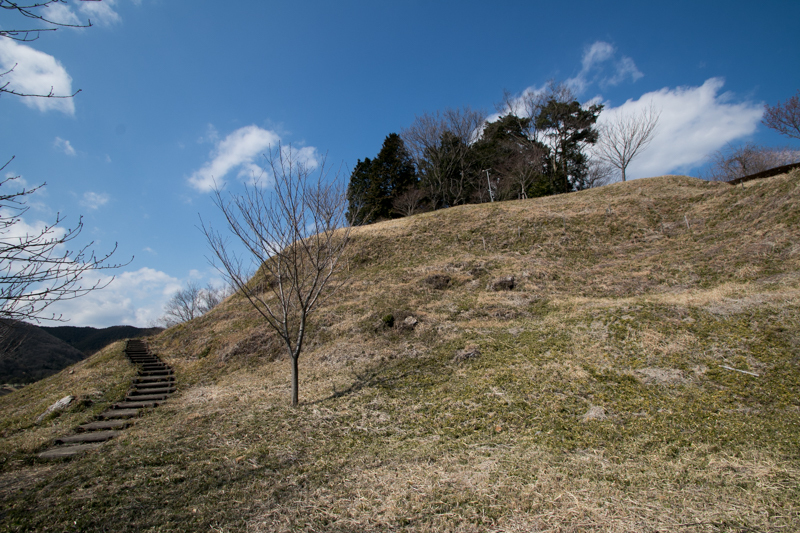 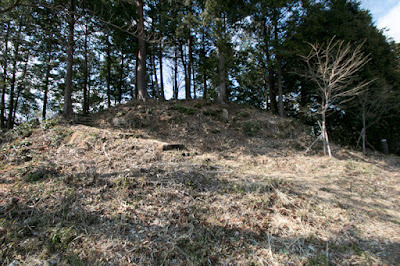 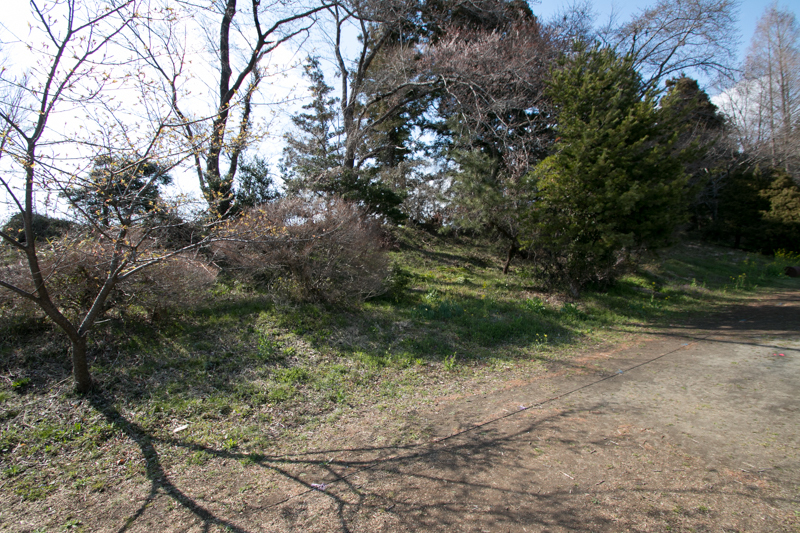 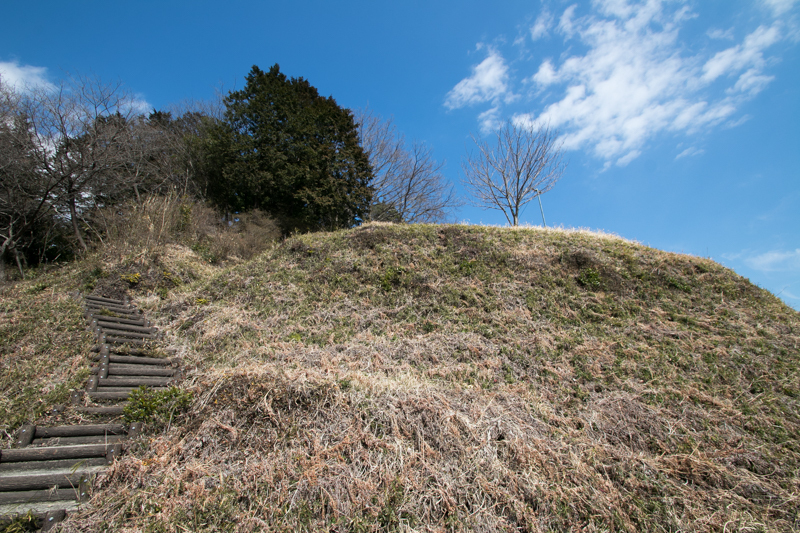 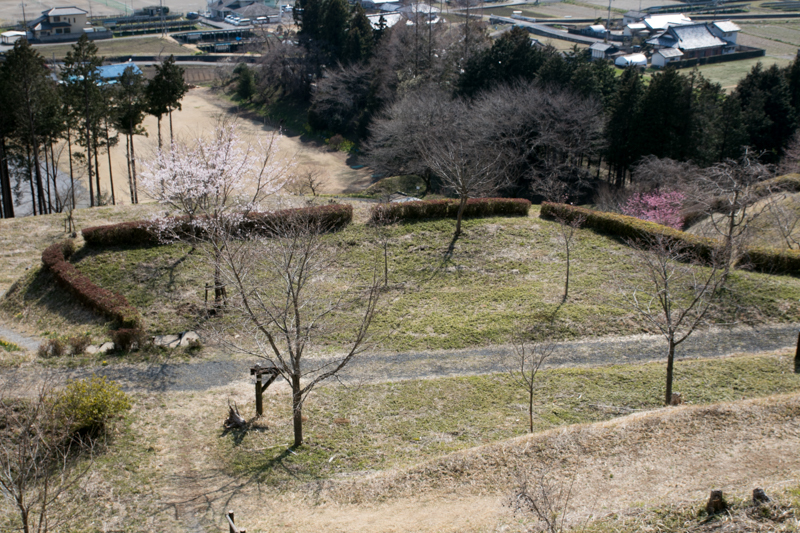 Minagawa castle was build by Minagawa clan, a local lord of this area in 15th century. Originally Minagawa clan was a branch family of Naganuma clan, a traditional clan stem from Hidesato Fujiwara (?-? 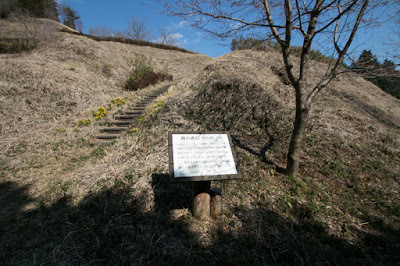 ), a famous Samurai in 10th century. 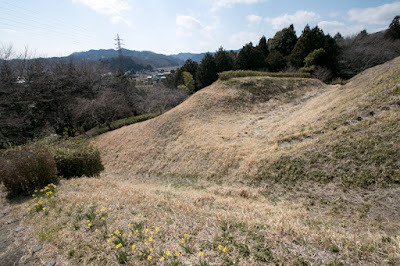 Naganuma clan had the same origin as Oyama clan which was the lord of Oyama castle, and in Muromachi era Naganuma clan was regarded as one of the eight traditional clans in Kanto area, along with Oyama clan. 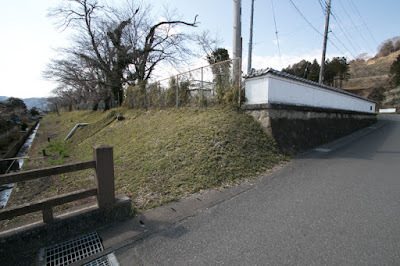 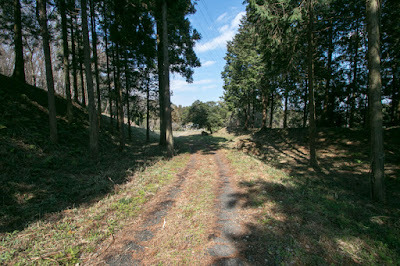 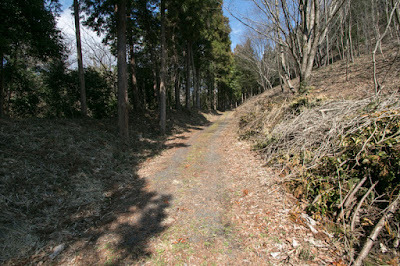 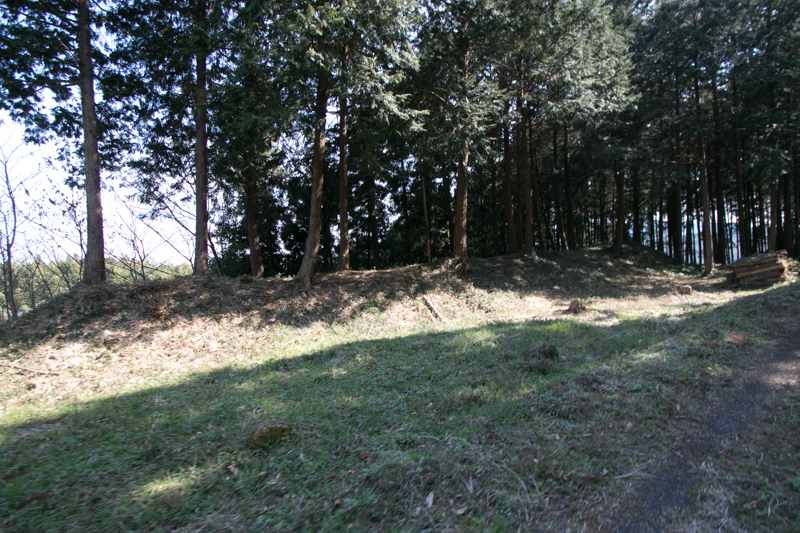 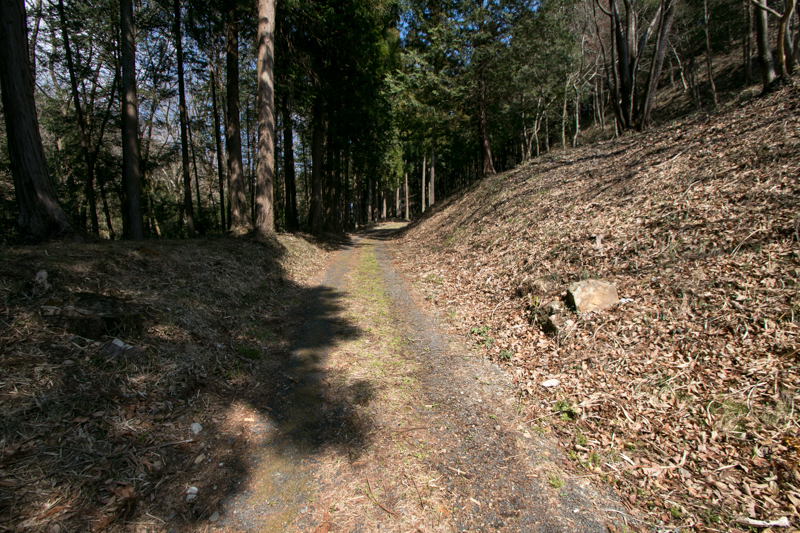 Later main stream of Naganuma clan was involved in the conflicts in Kanto region such as Eikyo no Ran (Incident in Eikyo era) in 1438 or Yuki Kassen (Battle of Yuki) in 1440 and extinguished, but a branch house of Naganuma clan survived this period and became the lord of Minagawa clan, then named as Minagawa clan. 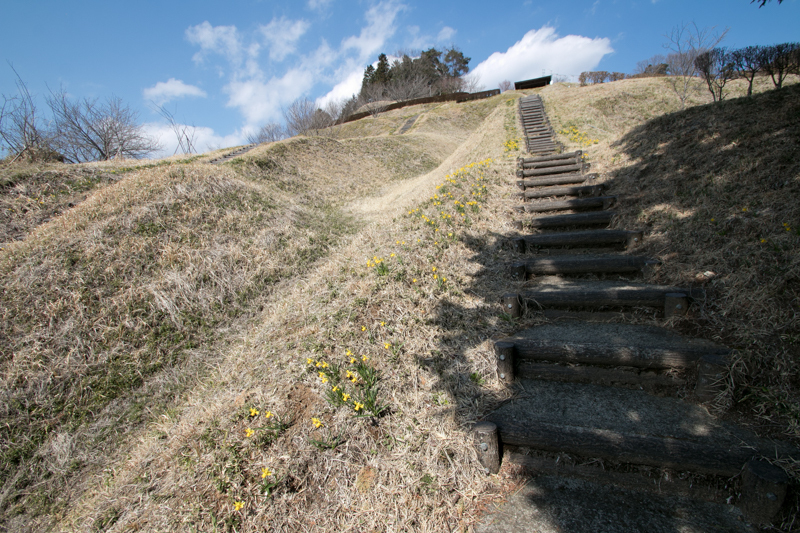 This Minagawa clan built Minagawa castle as their main base in 15th century. 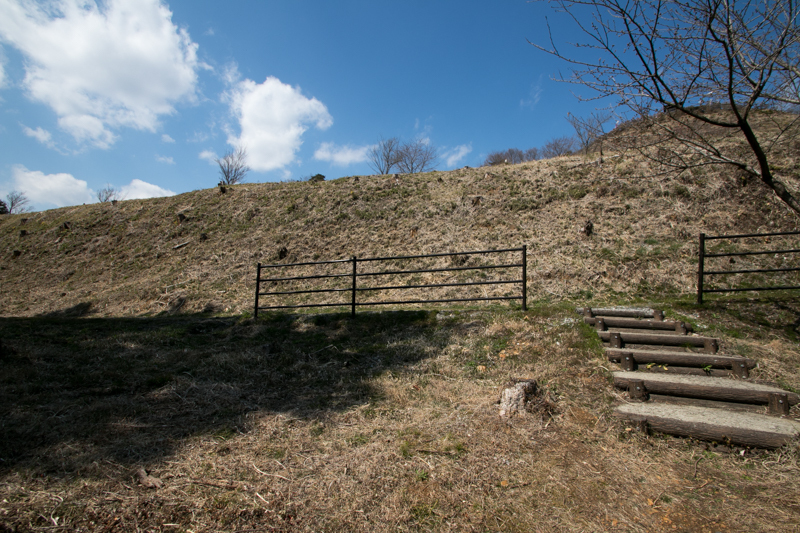 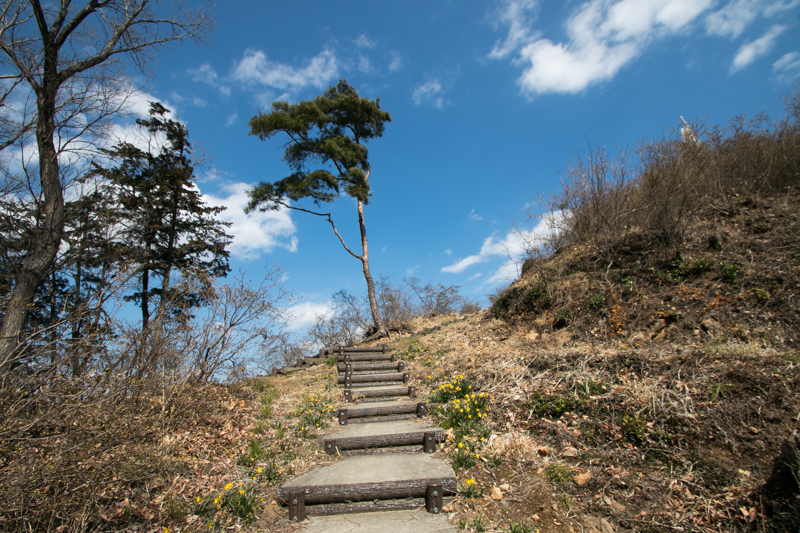 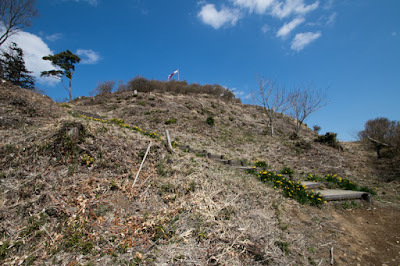 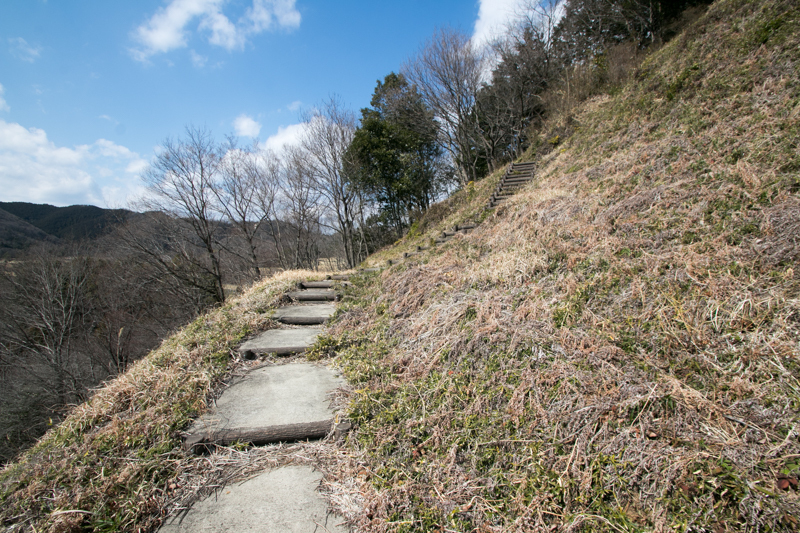 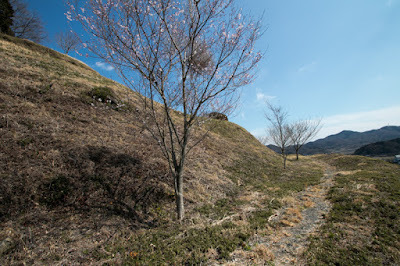 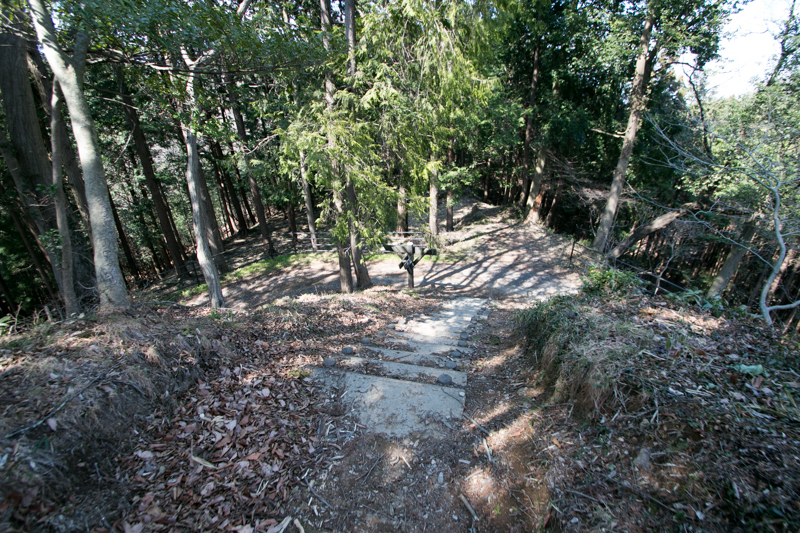 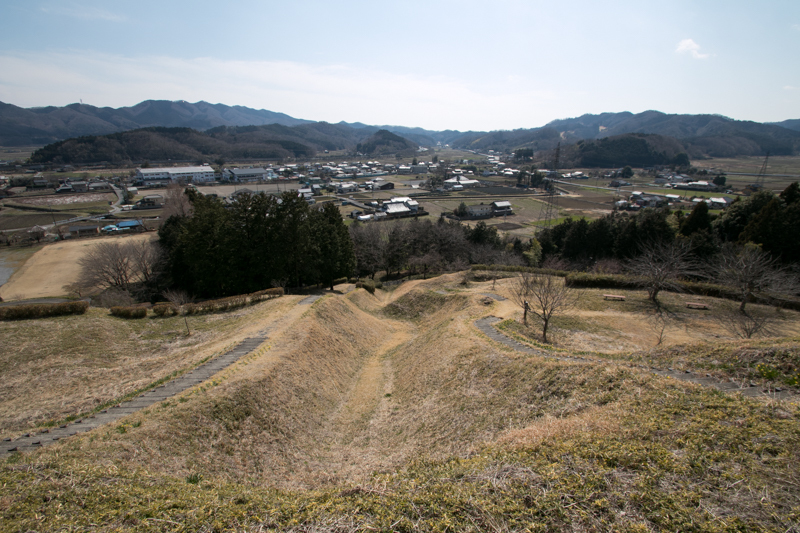 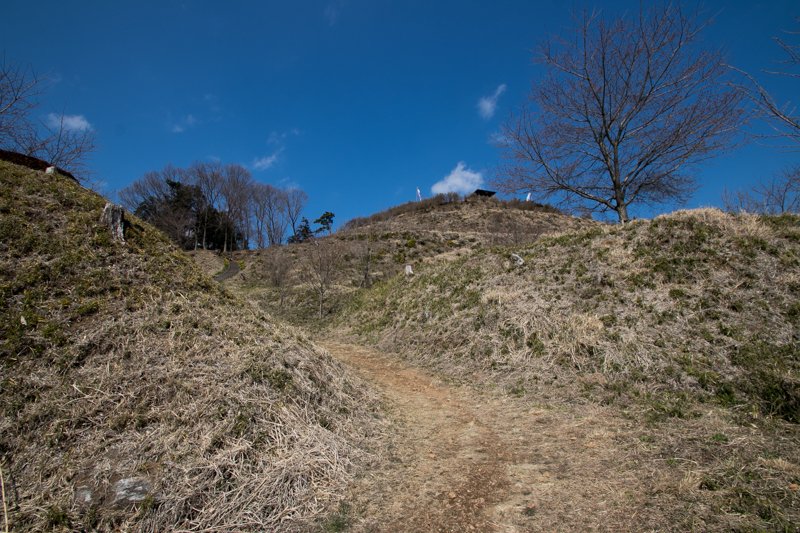 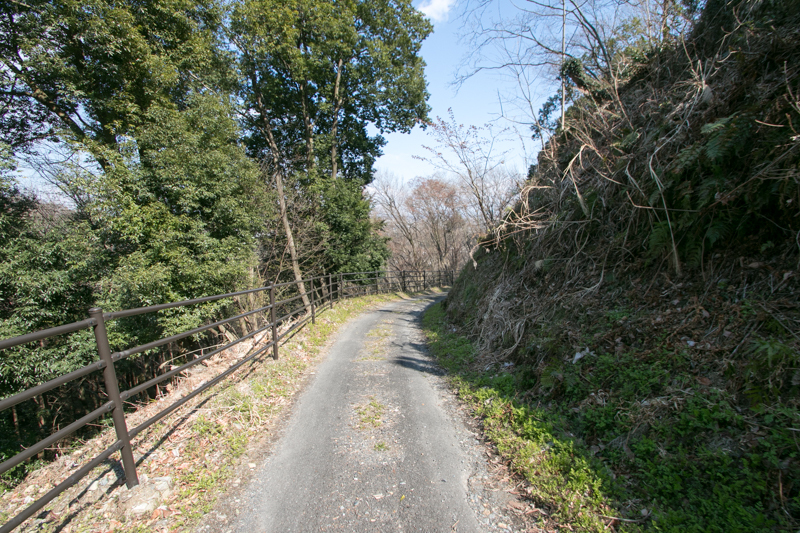 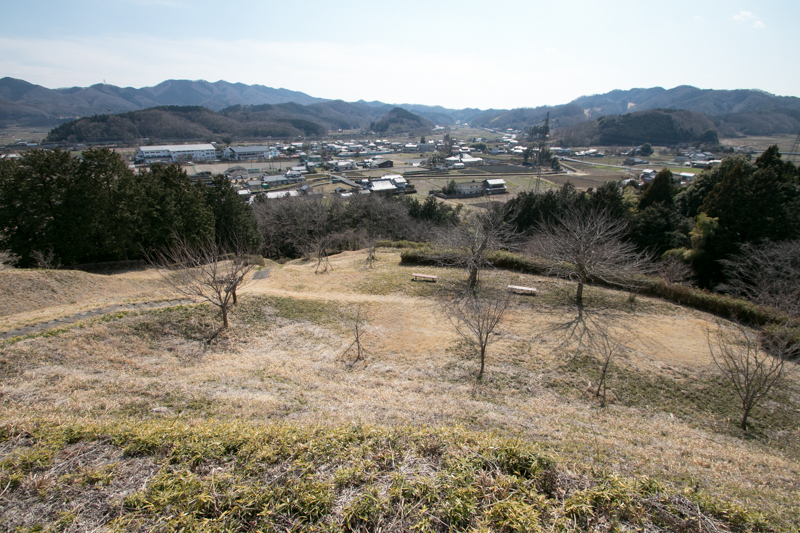 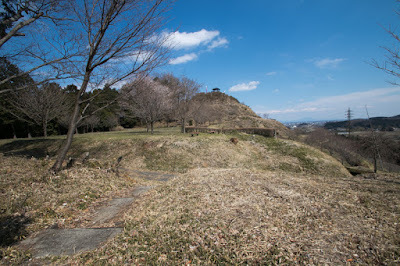 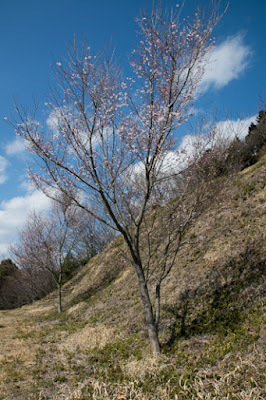 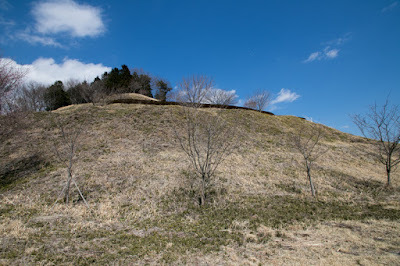 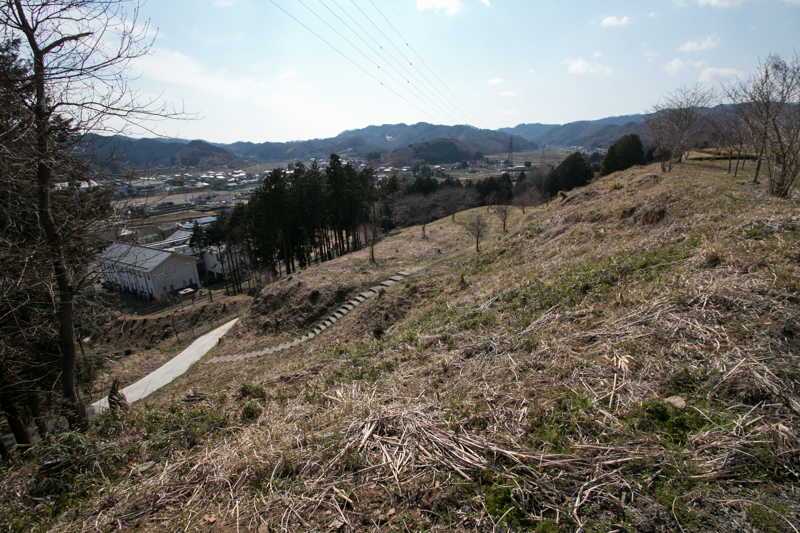 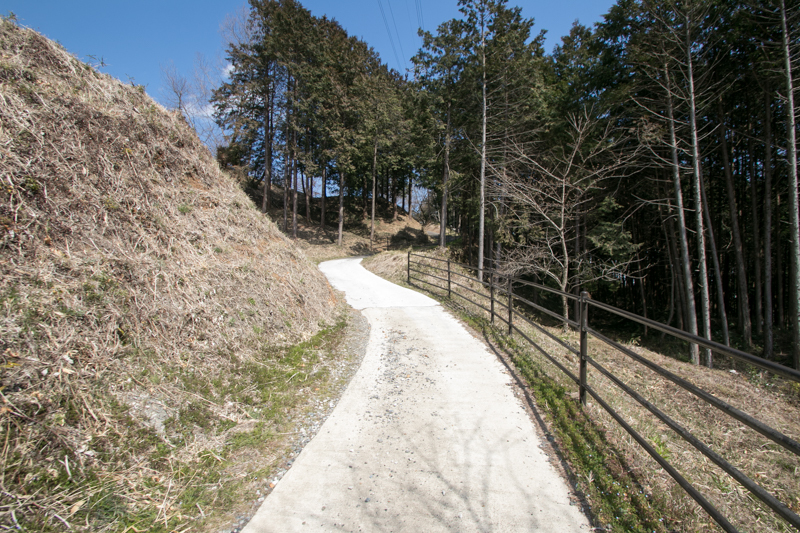 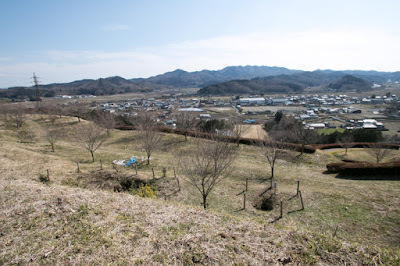 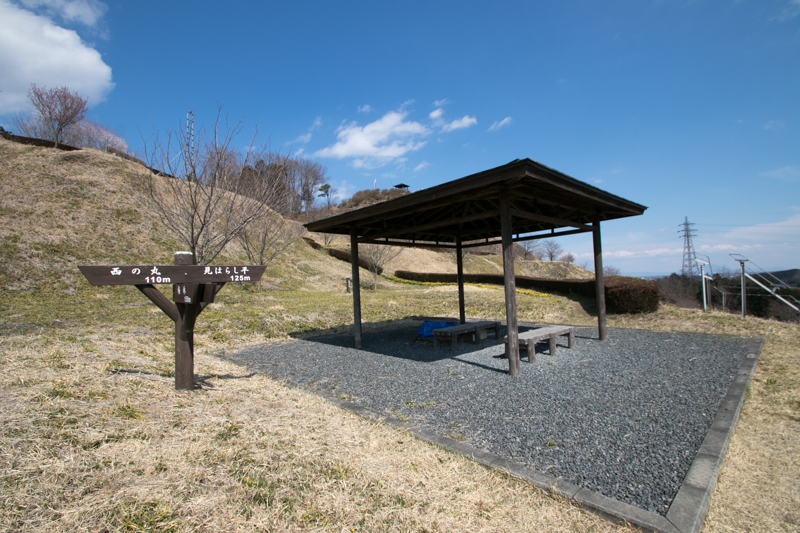 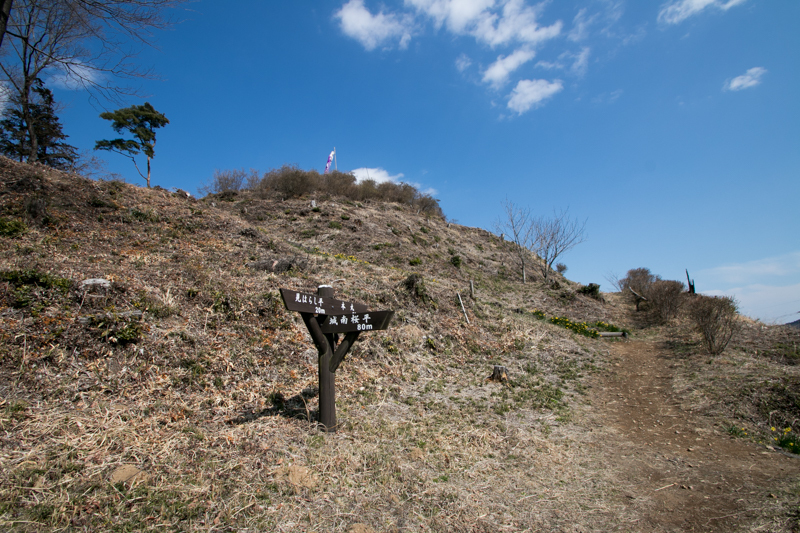 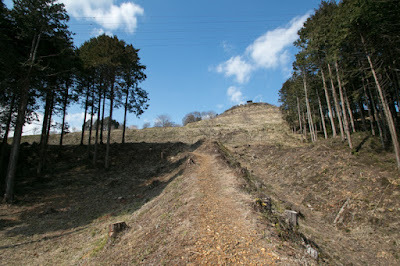 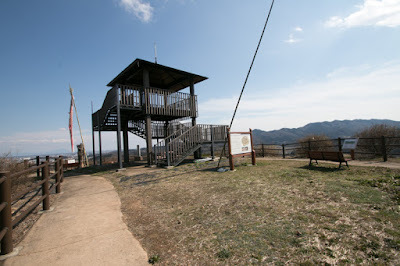 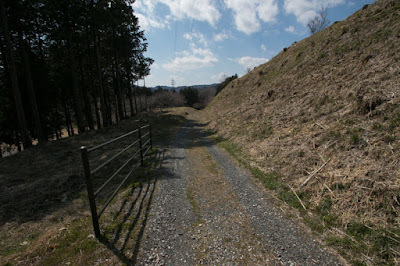 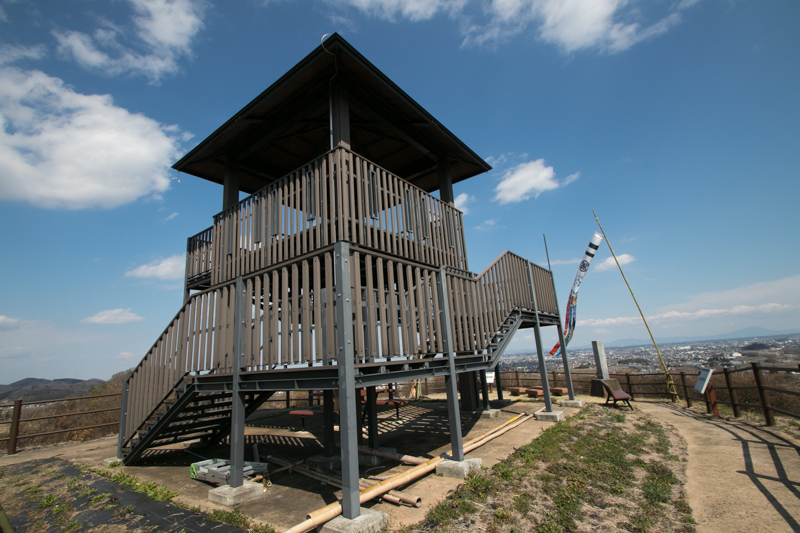 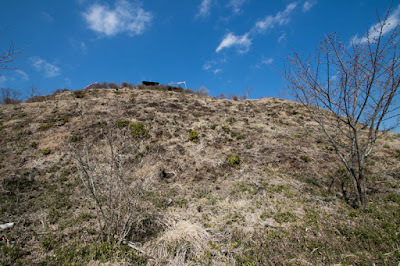 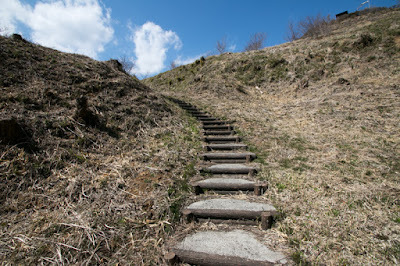 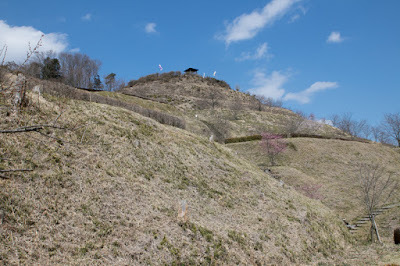 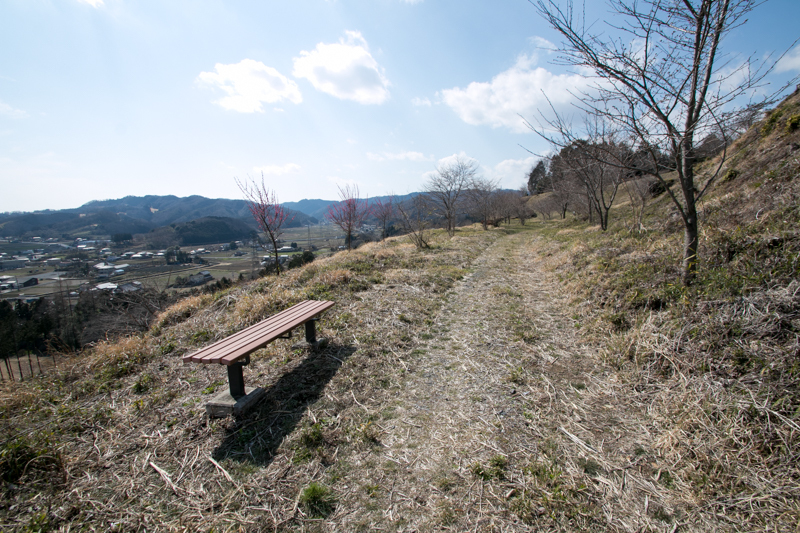 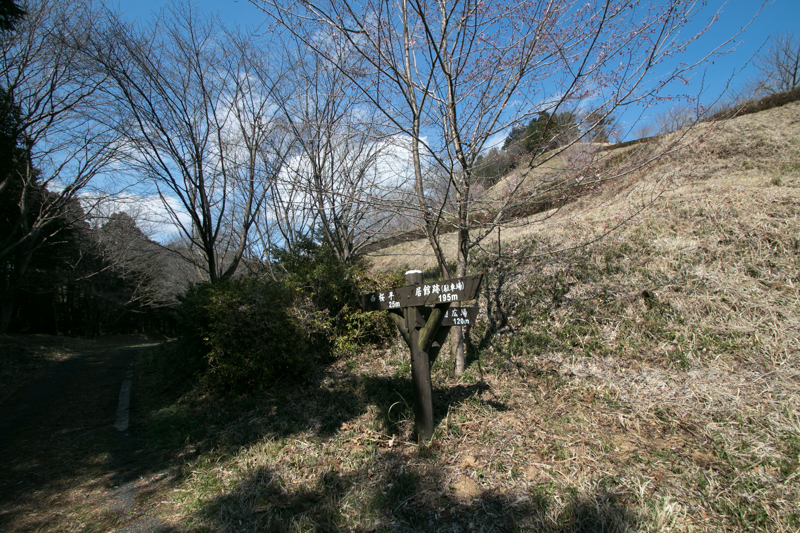 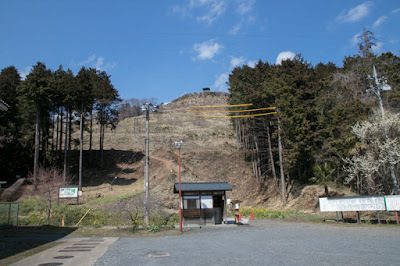 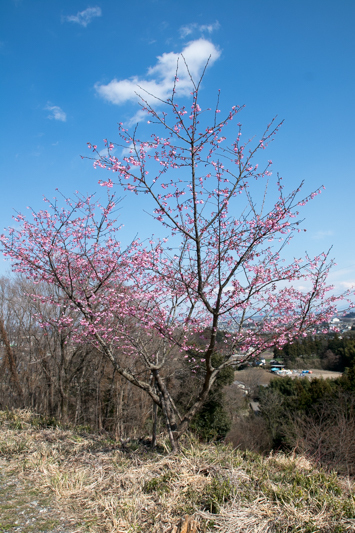 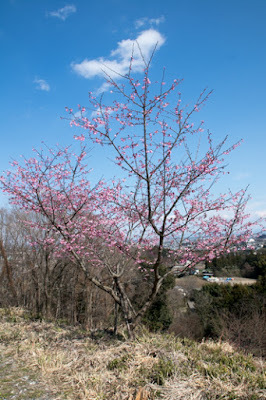 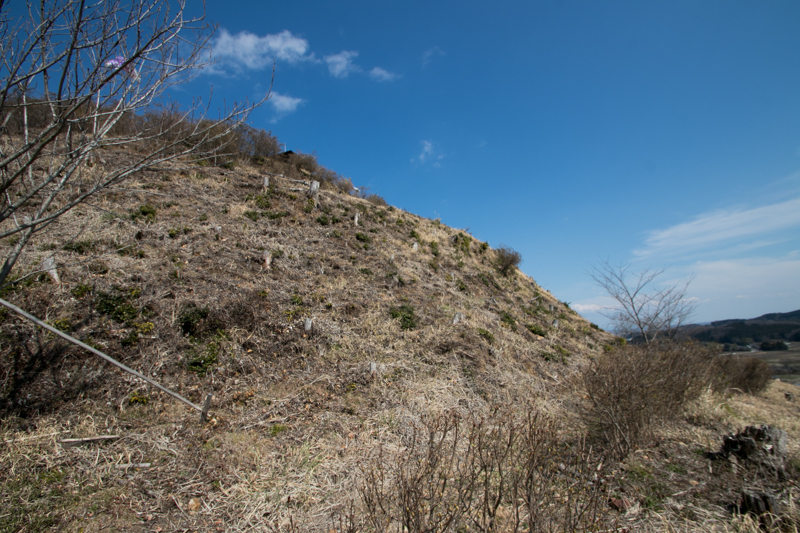 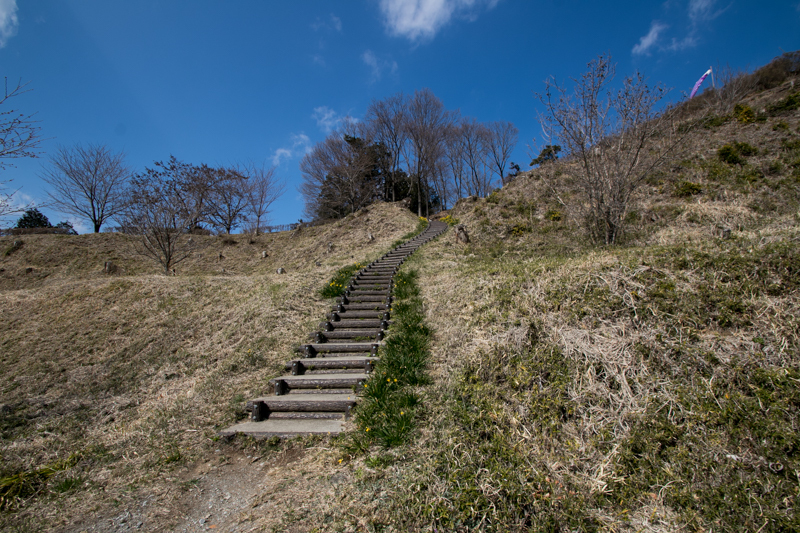 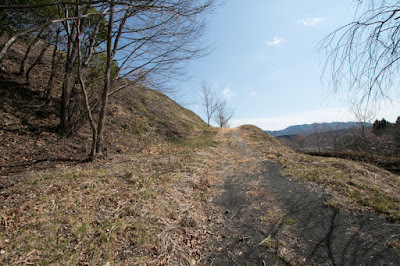 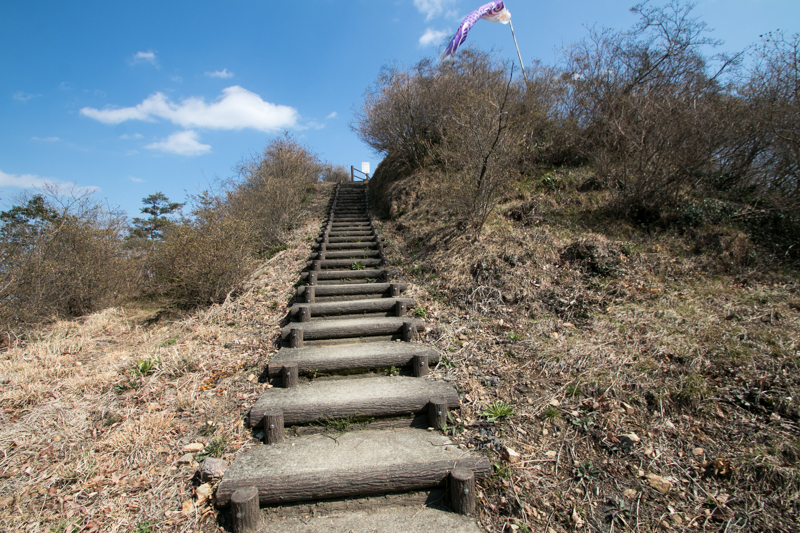 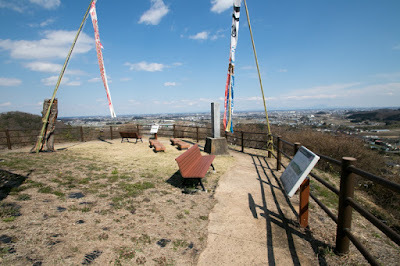 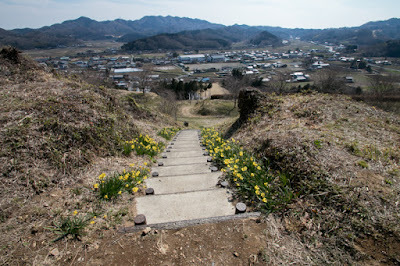 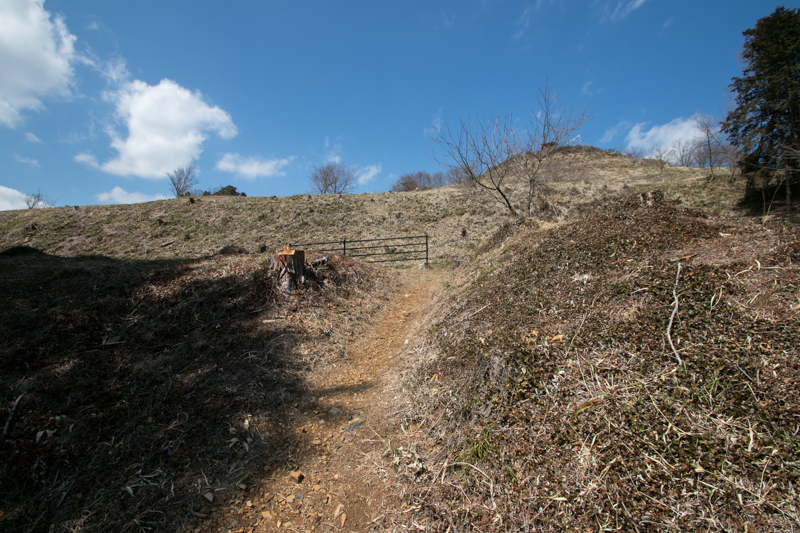 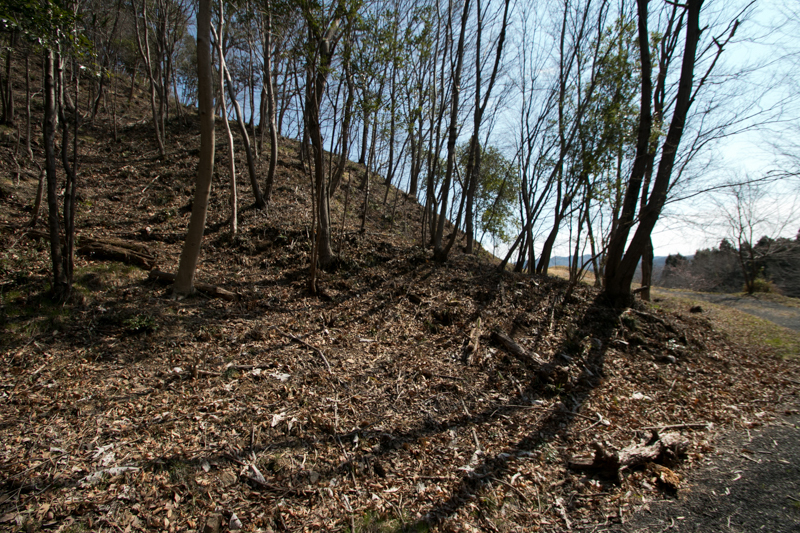 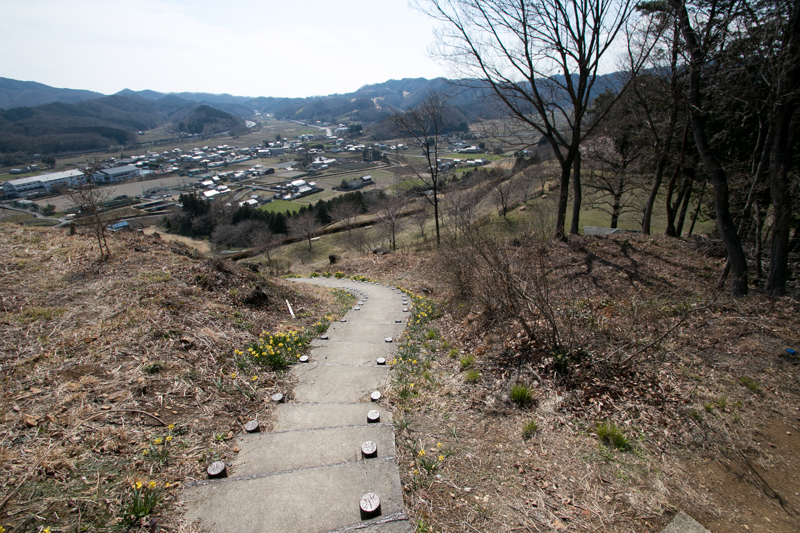 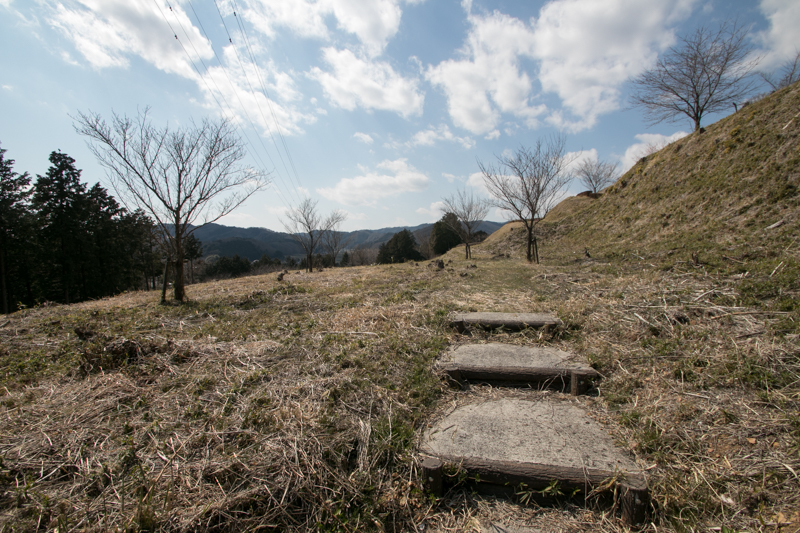 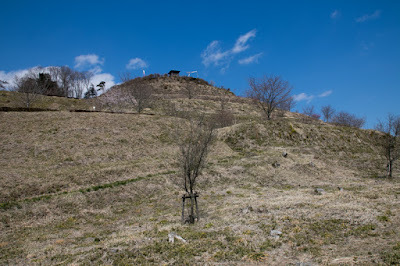 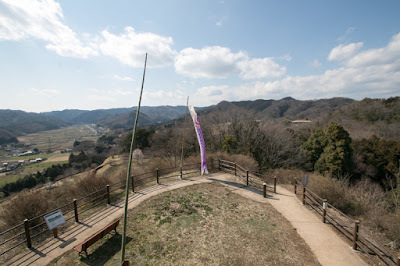 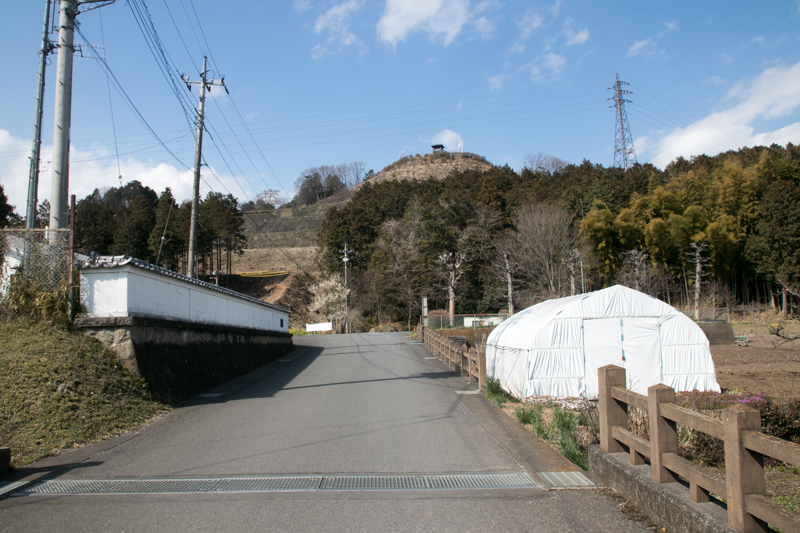 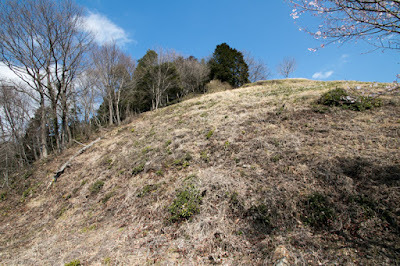 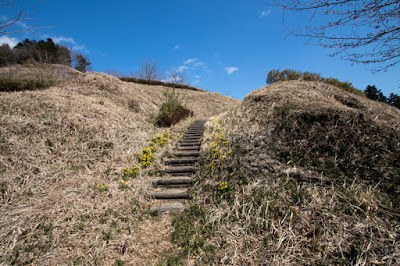 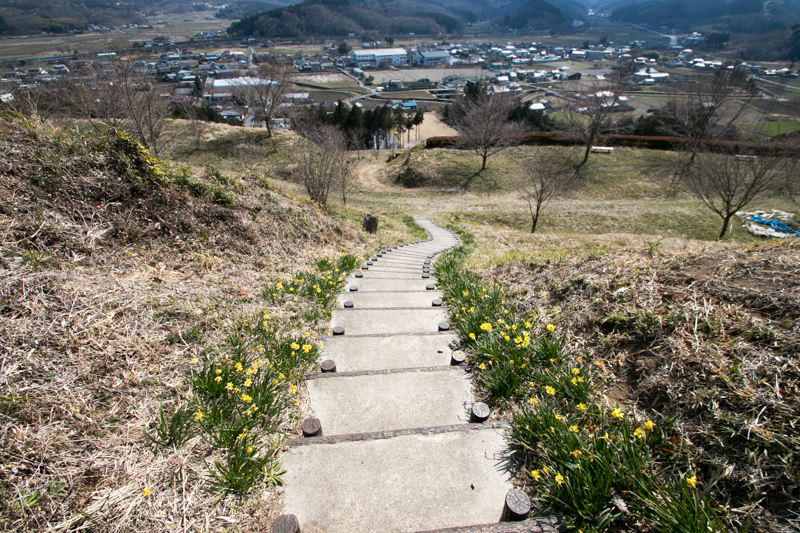 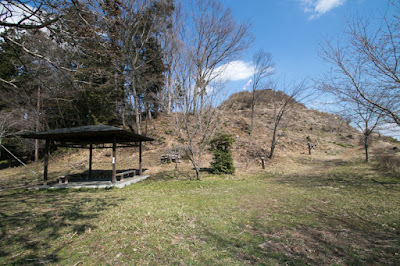 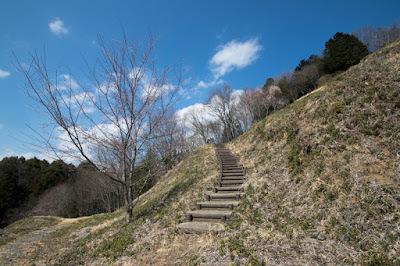 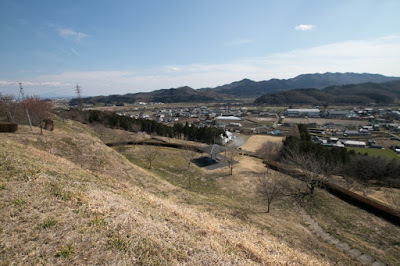 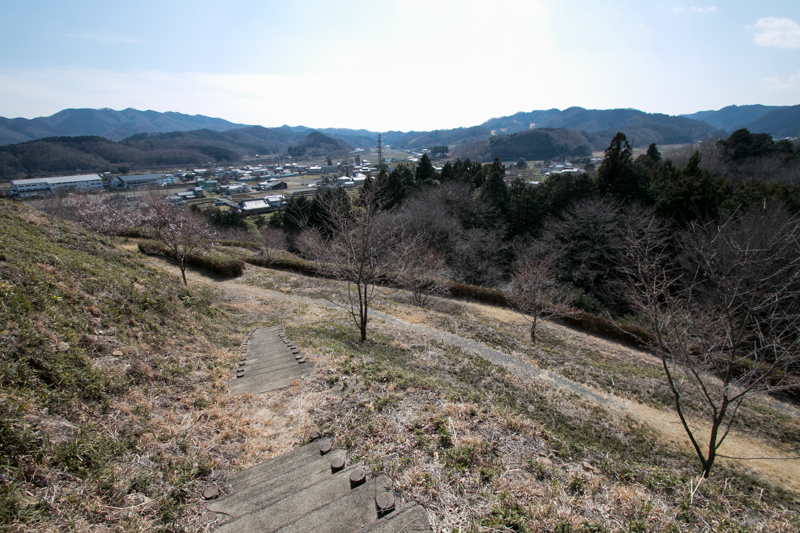 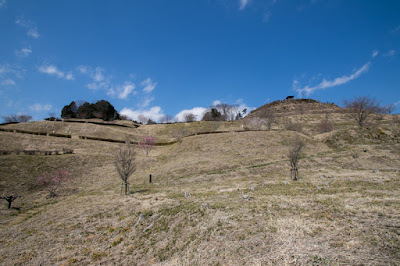 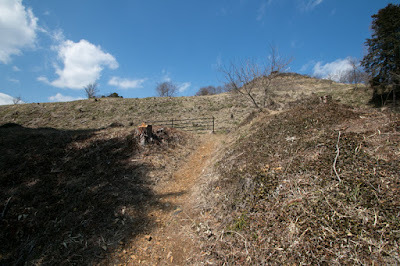 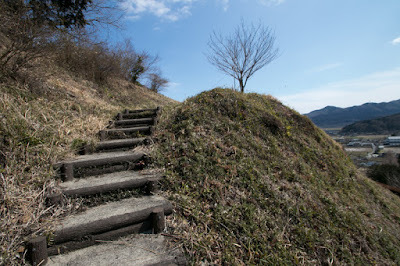 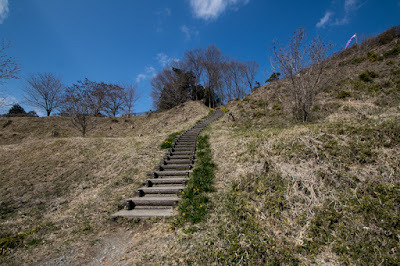 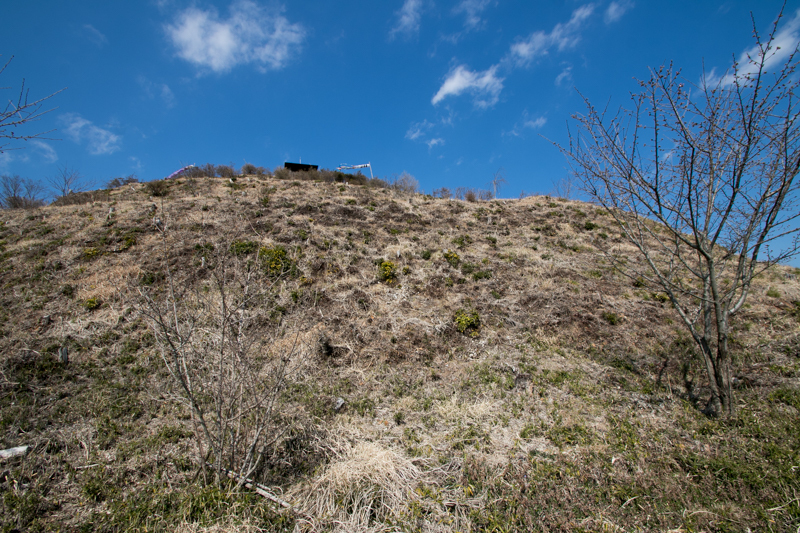 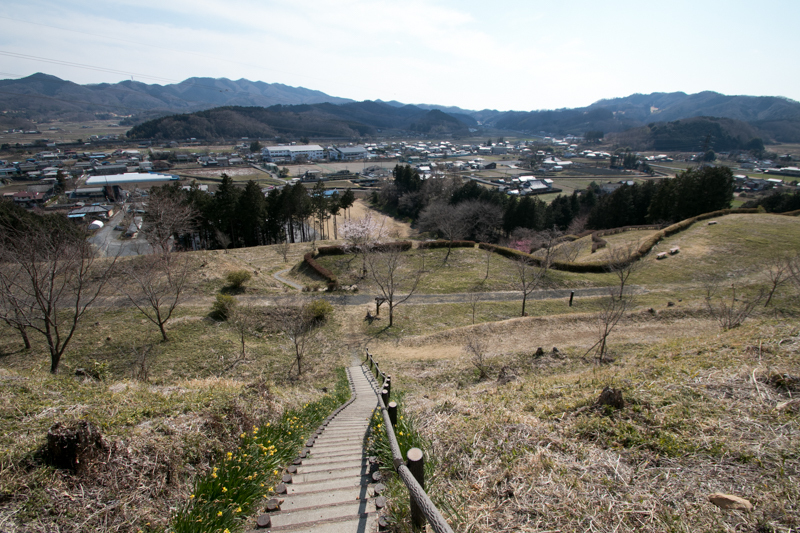 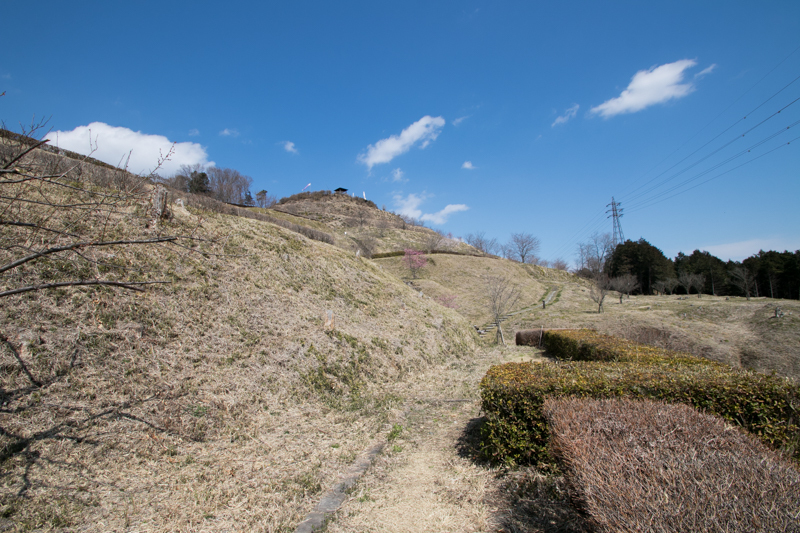 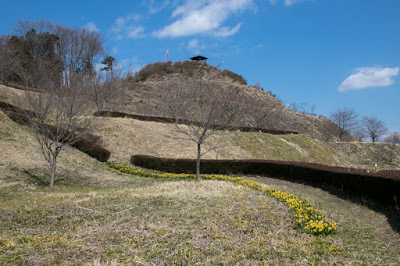 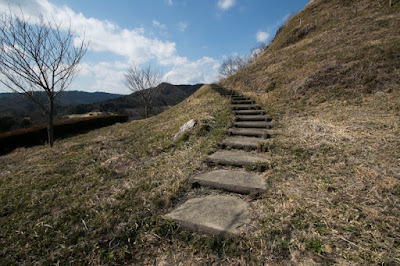 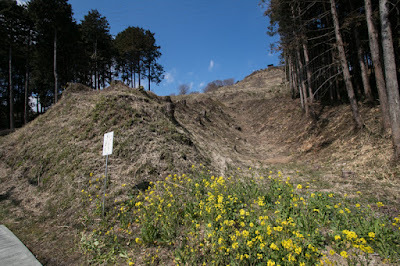 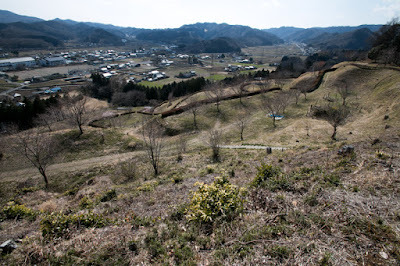 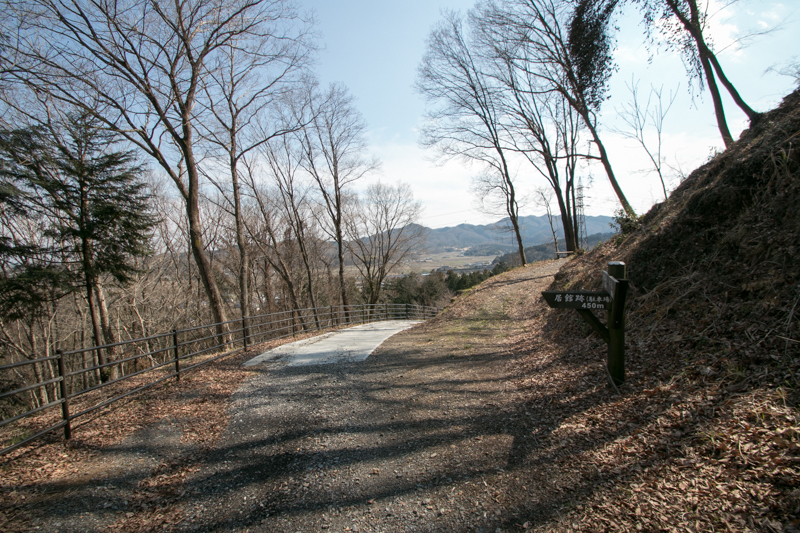 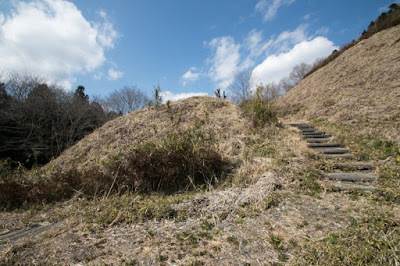 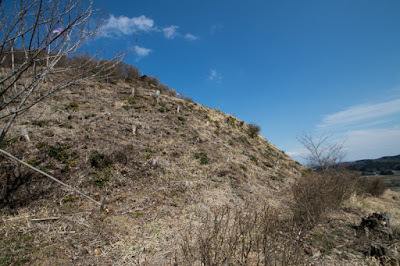 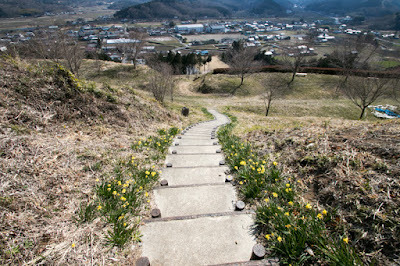 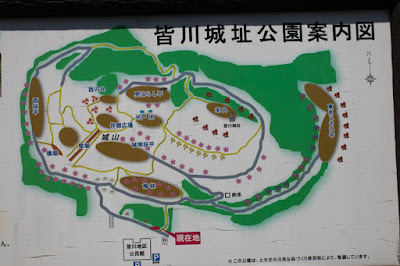 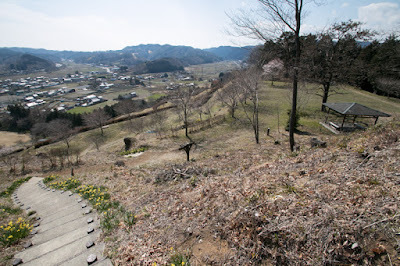 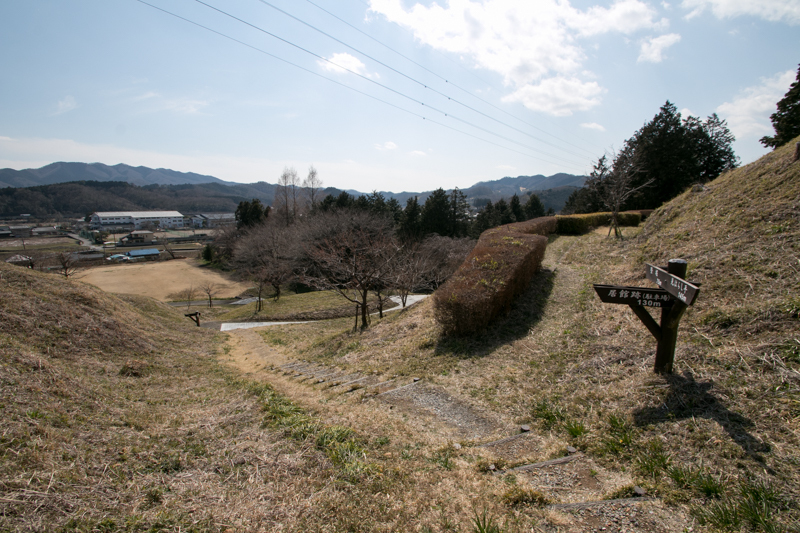 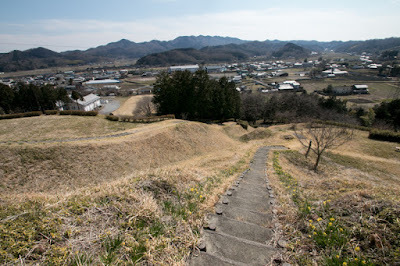 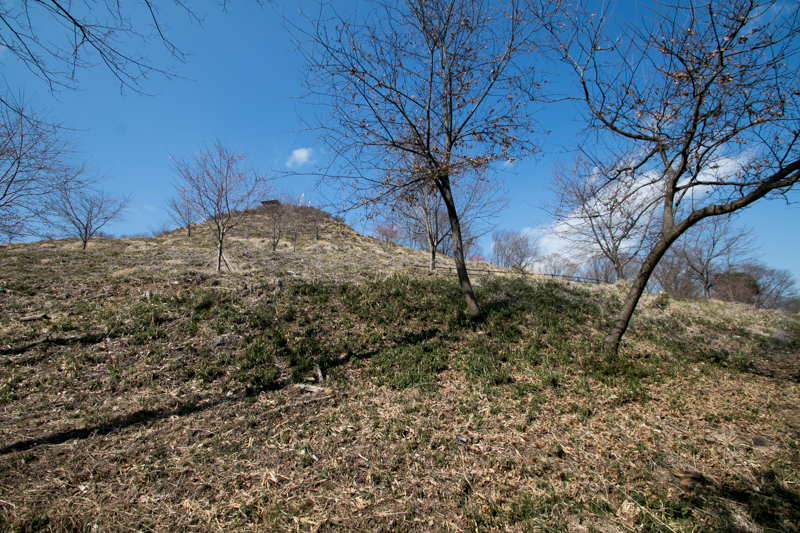 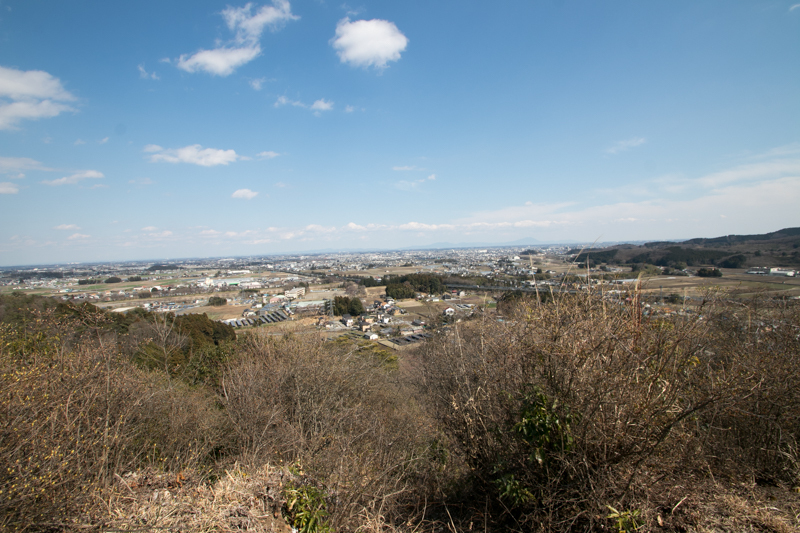 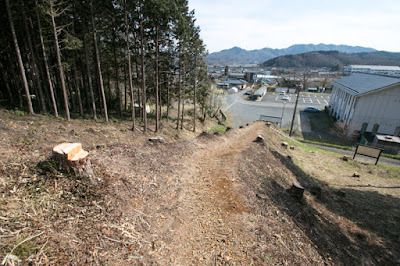 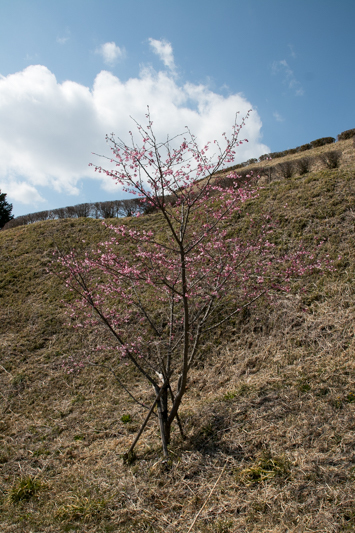 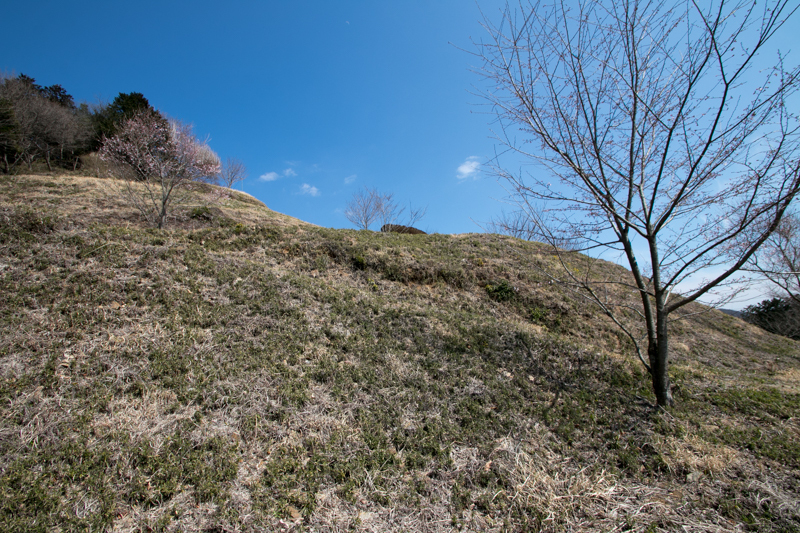 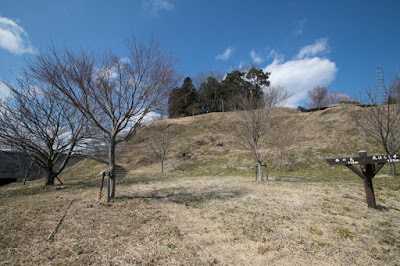 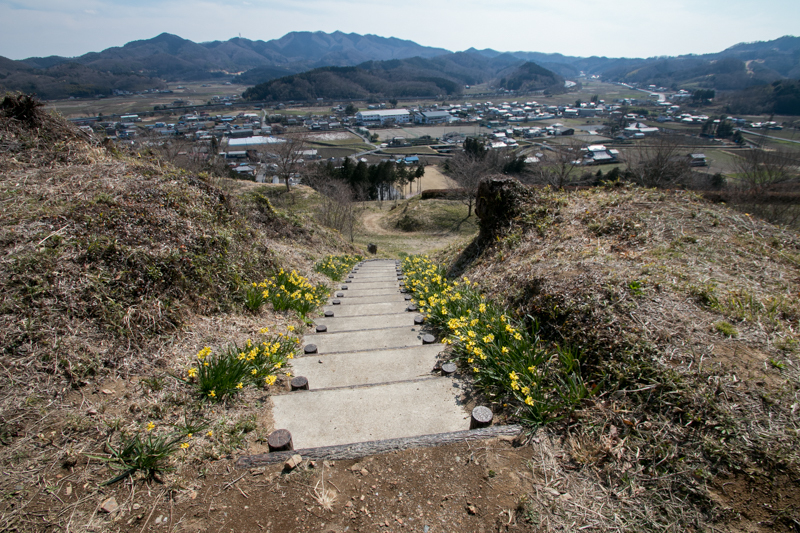 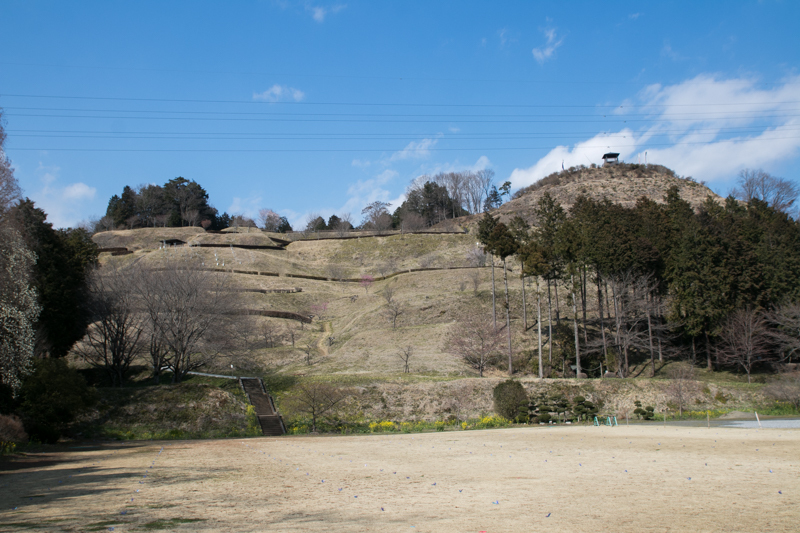 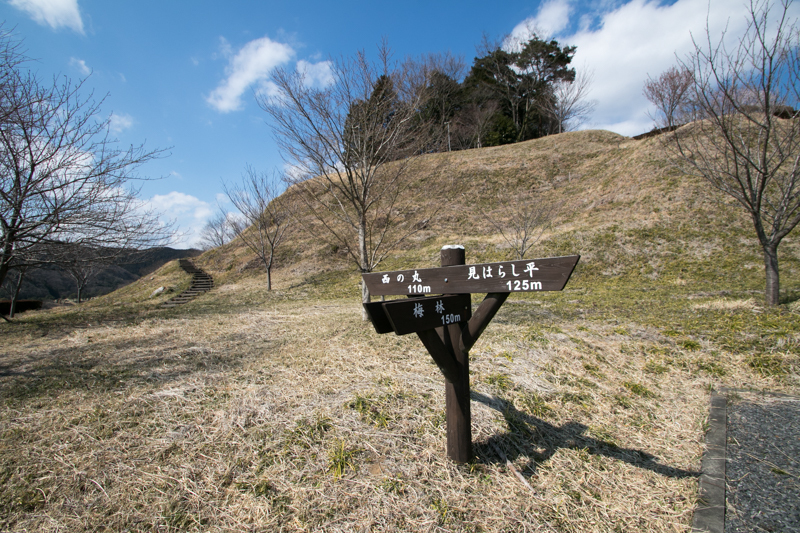 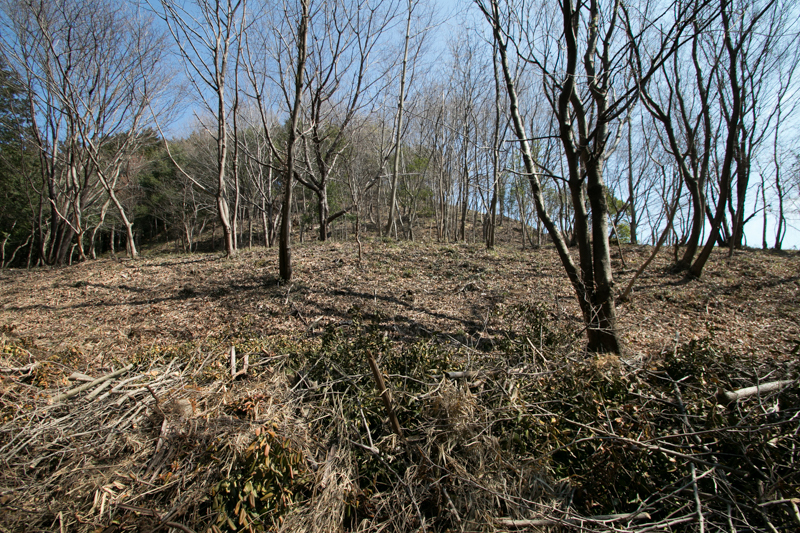 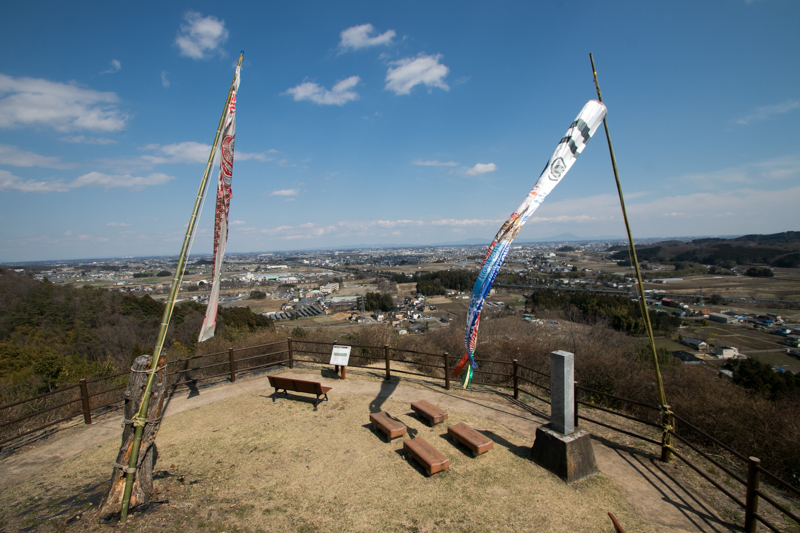 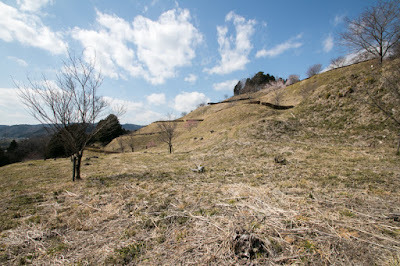 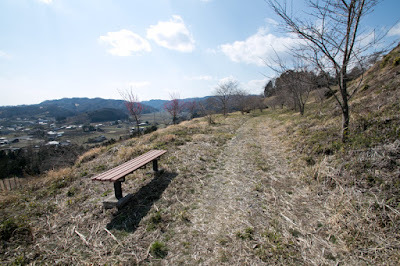 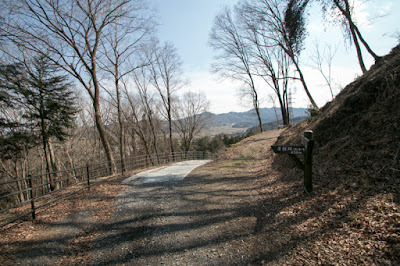 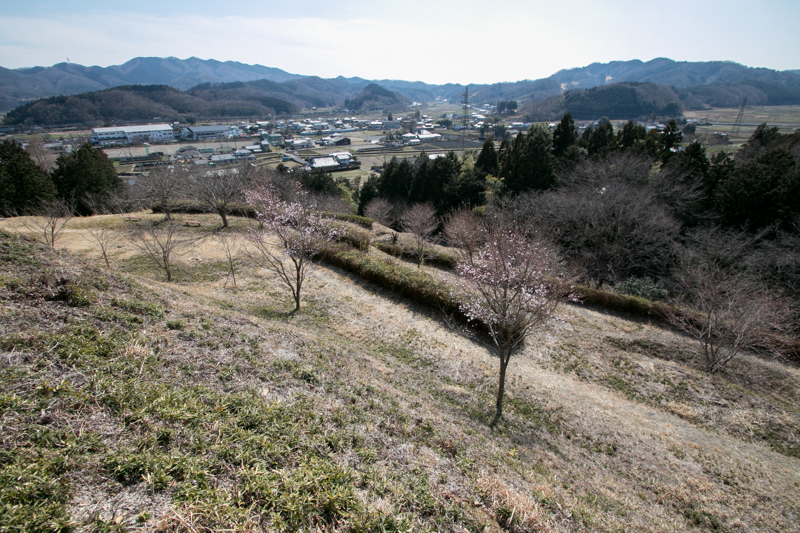 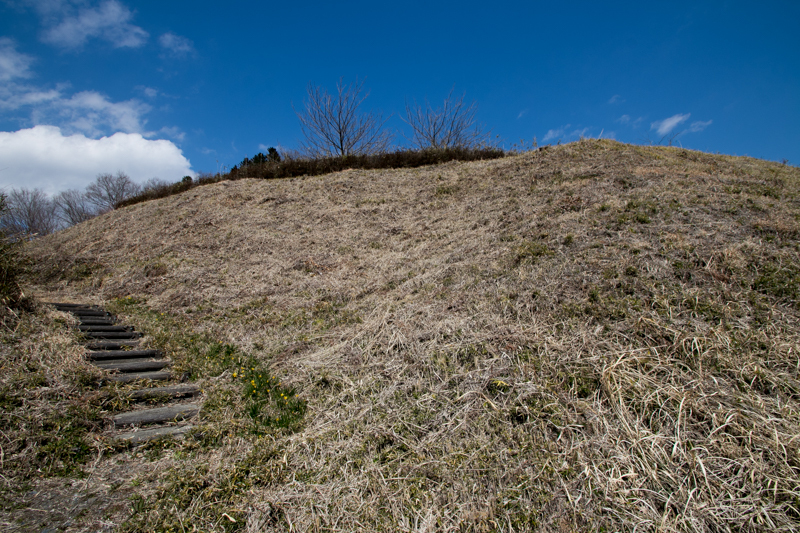 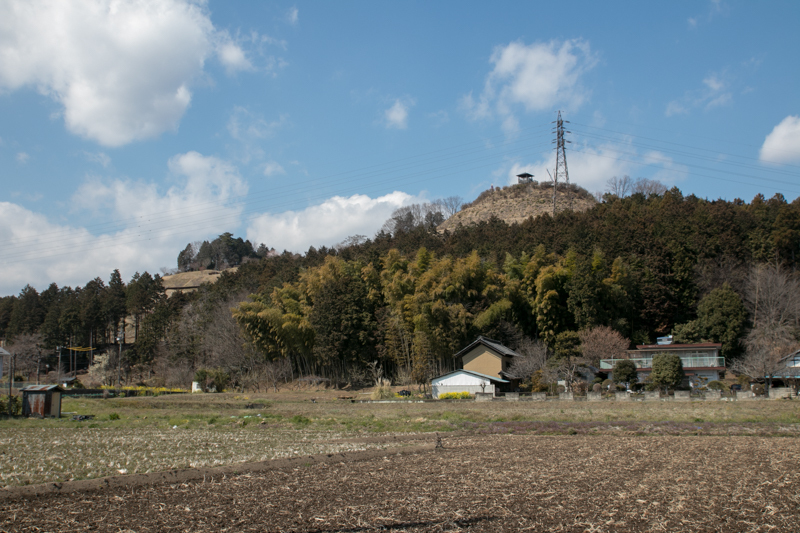 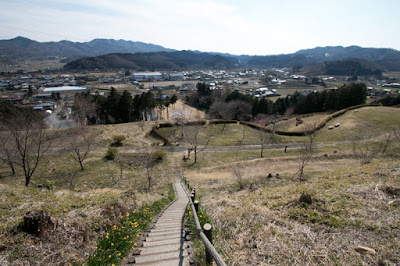 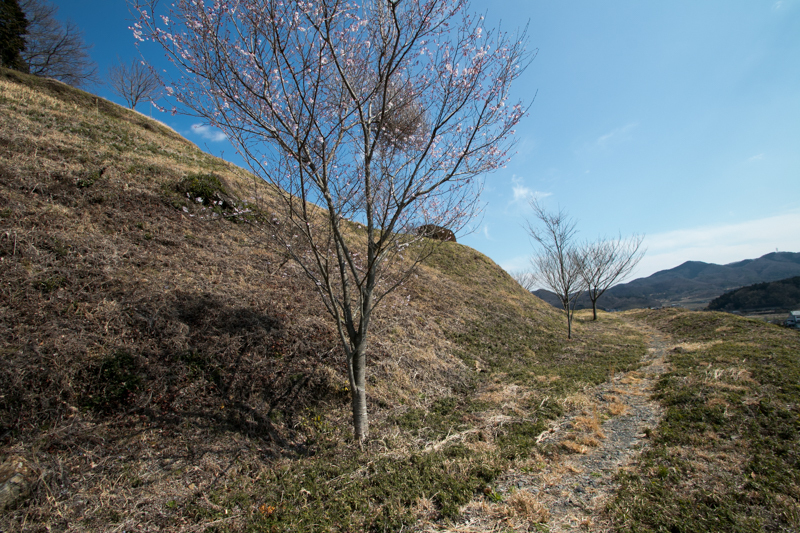 As Shiroyama mountain is not so large mountain, Minagawa castle spread all over the mountain. 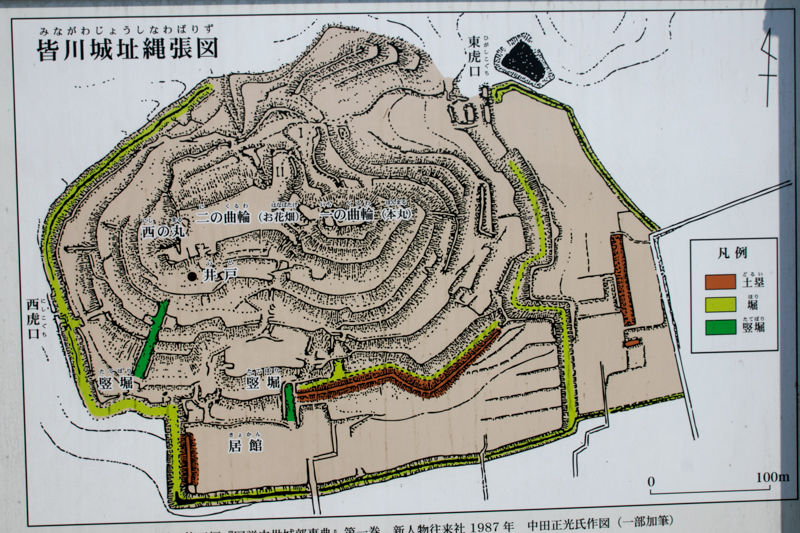 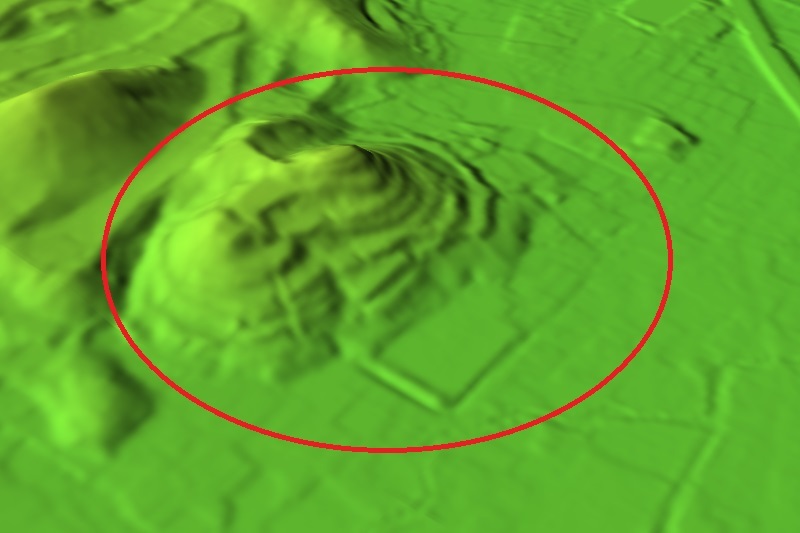 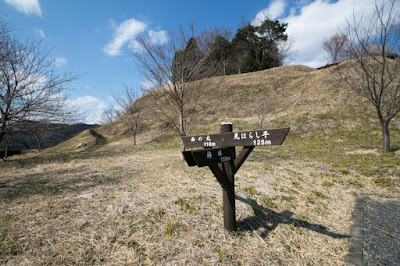 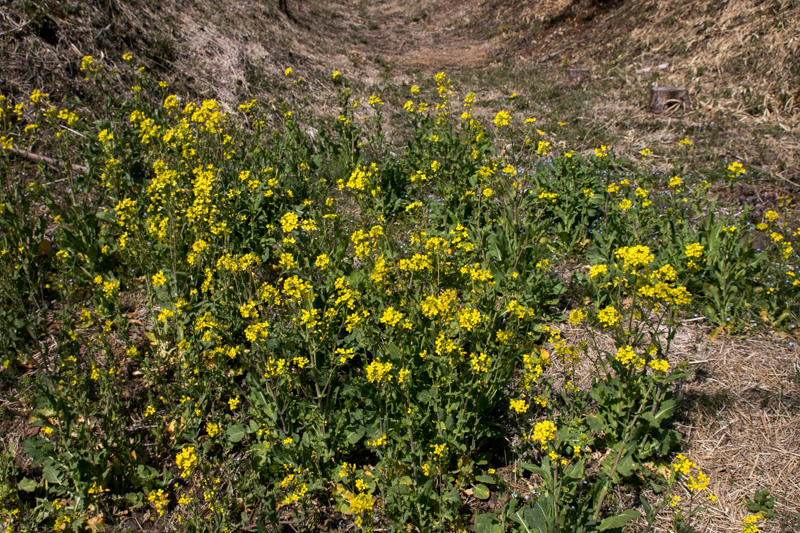 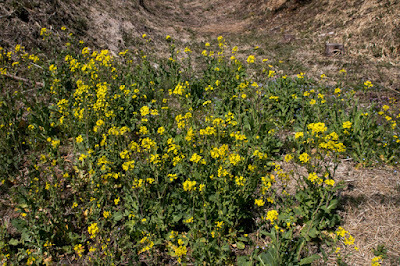 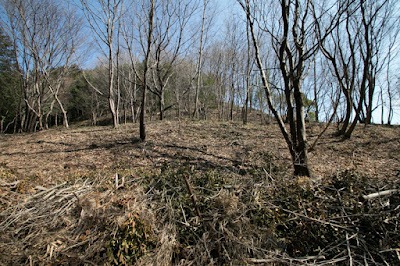 Central area is located on the hilltop in the east half of mountain, and a large flat area was built at connecting ridge. 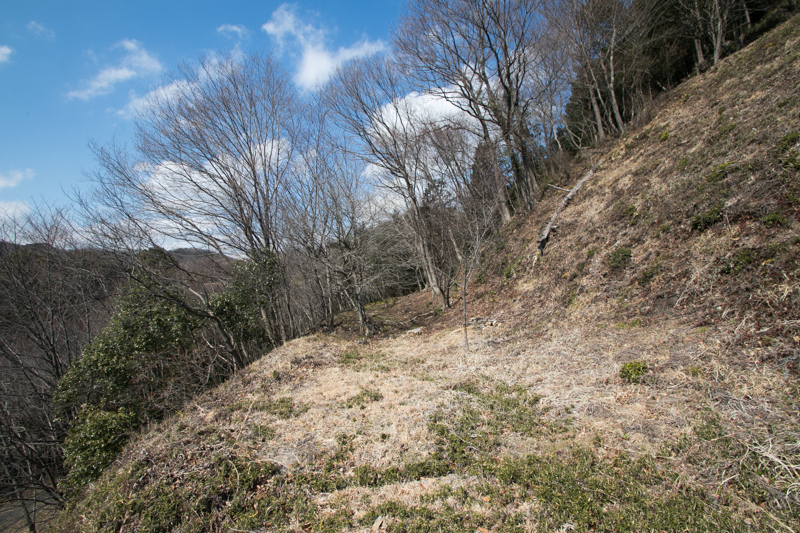 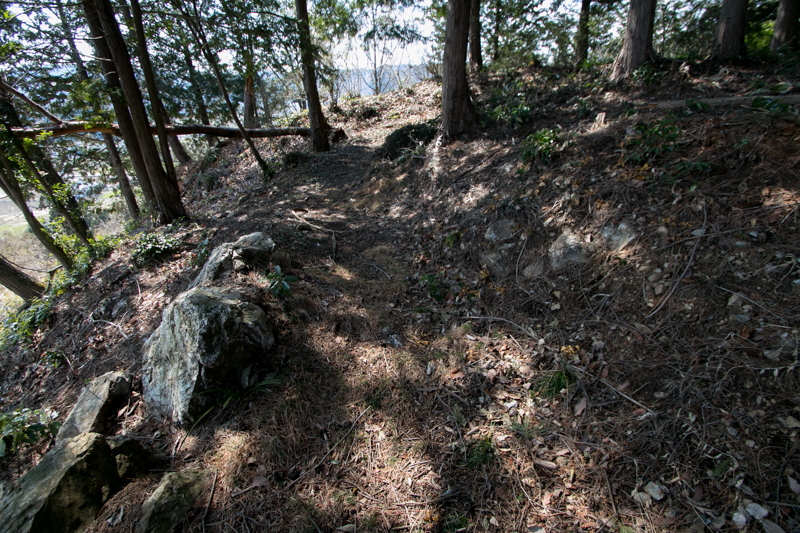 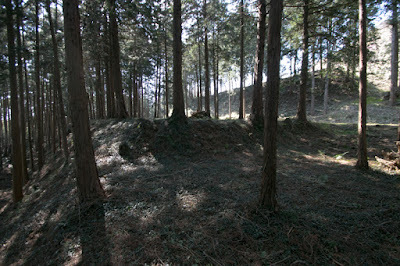 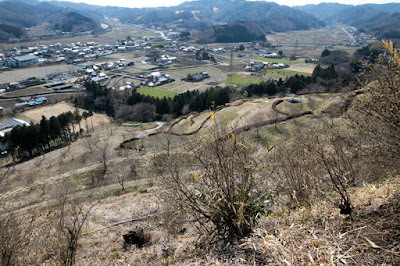 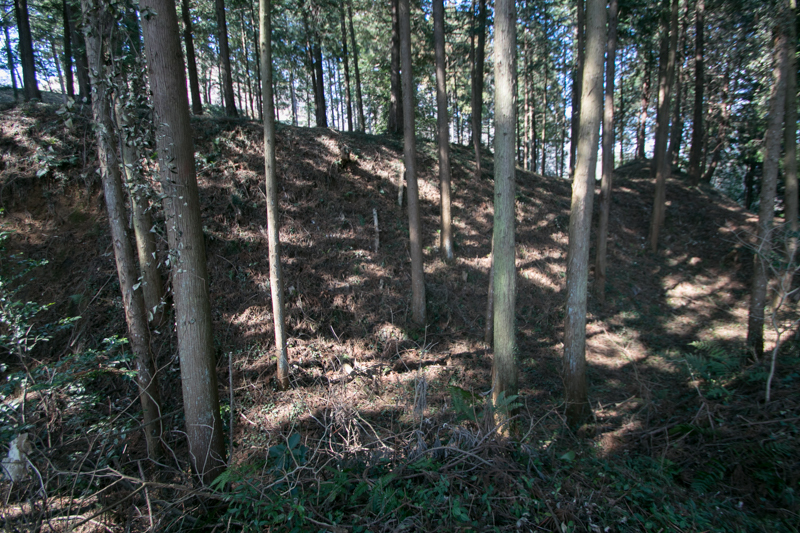 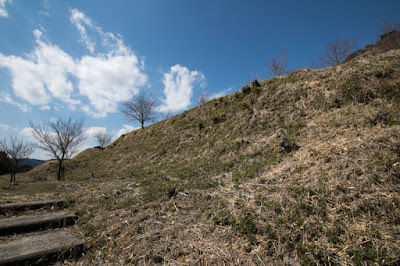 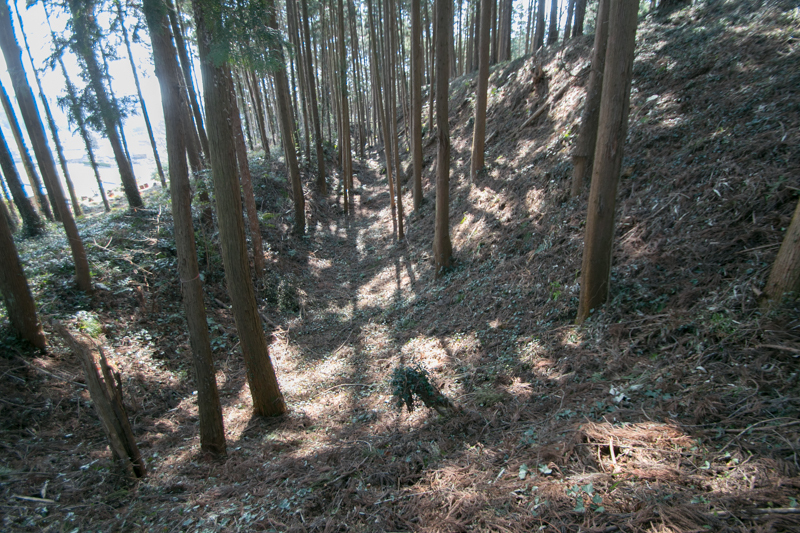 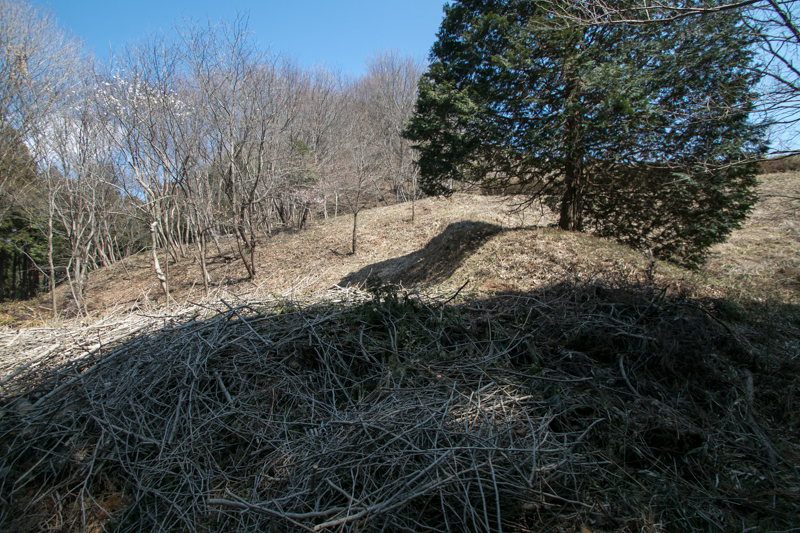 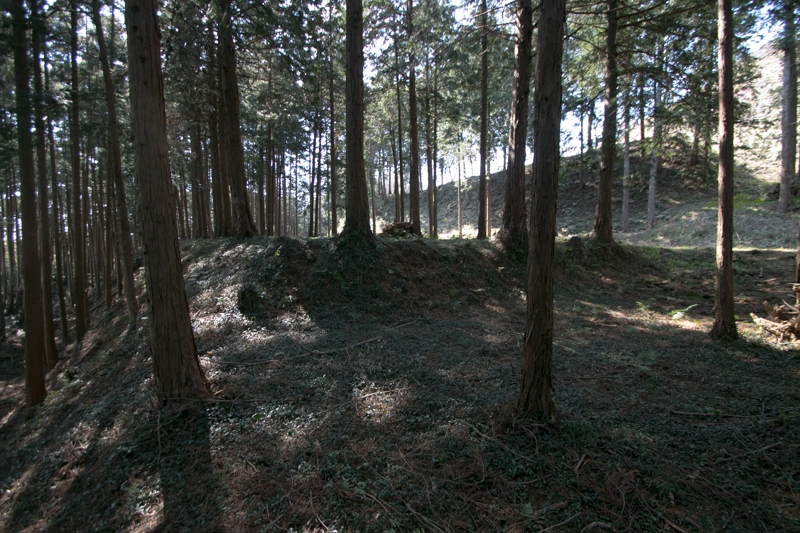 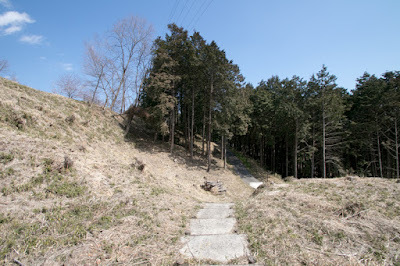 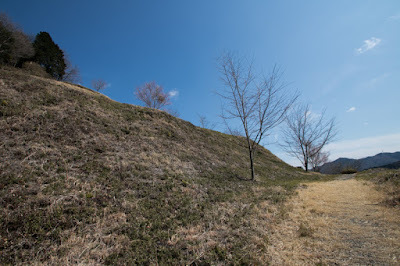 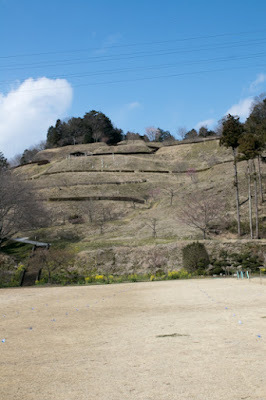 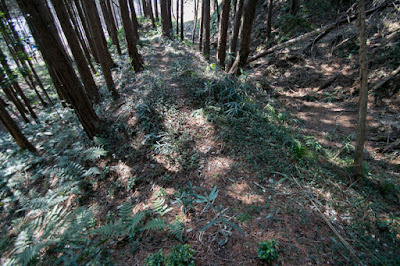 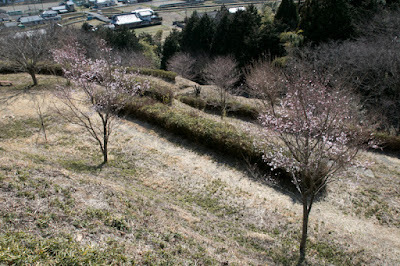 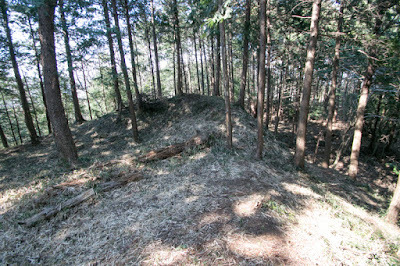 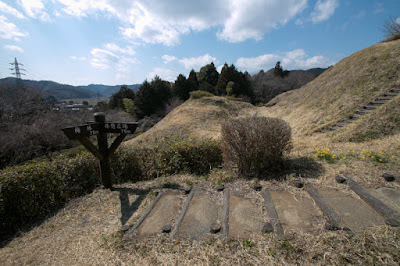 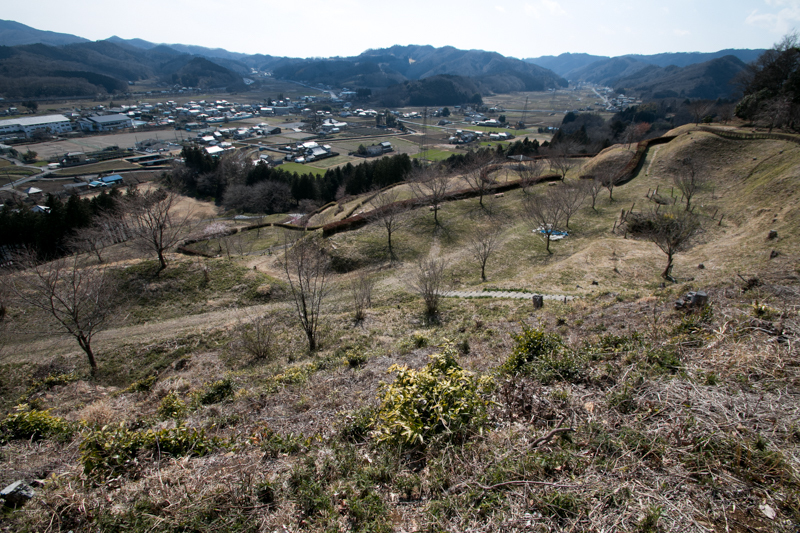 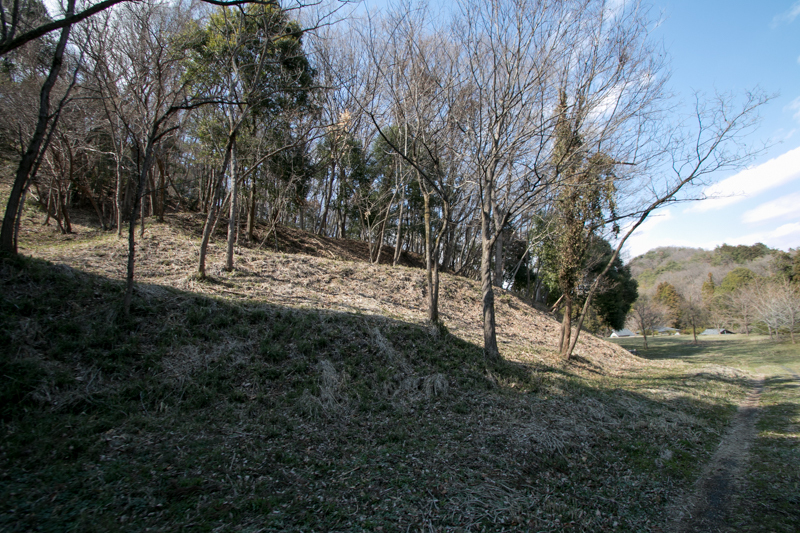 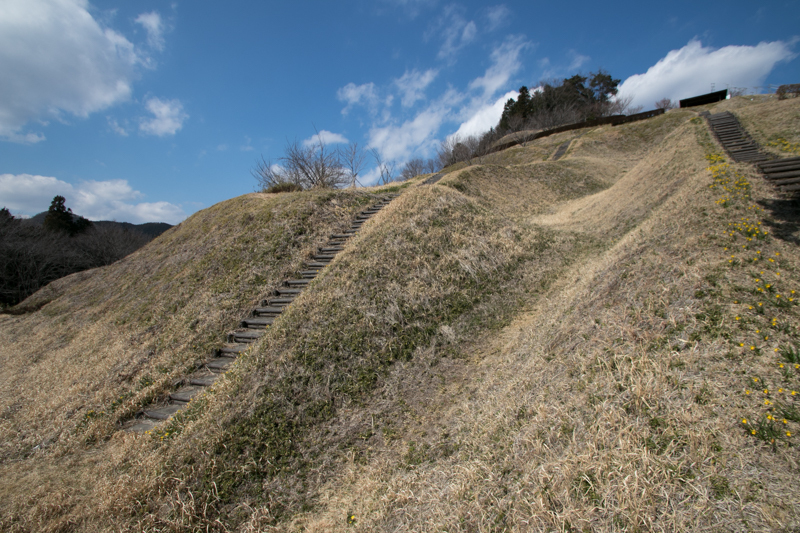 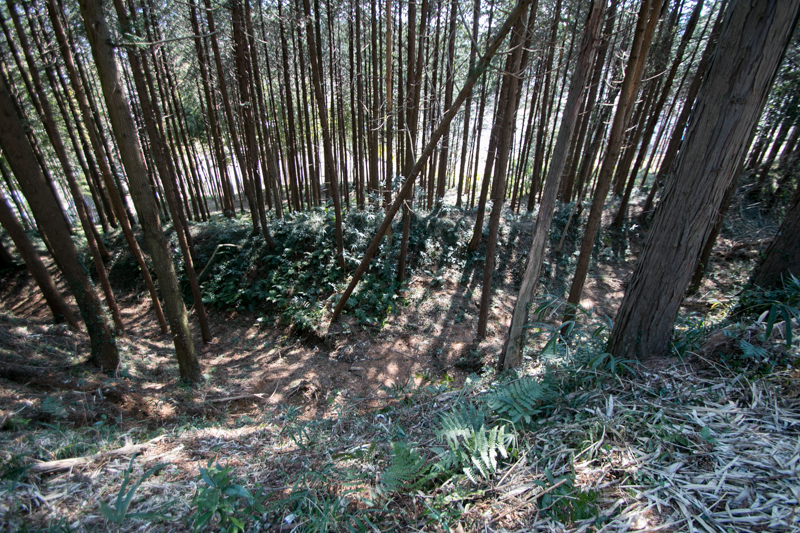 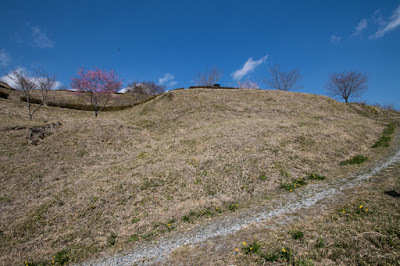 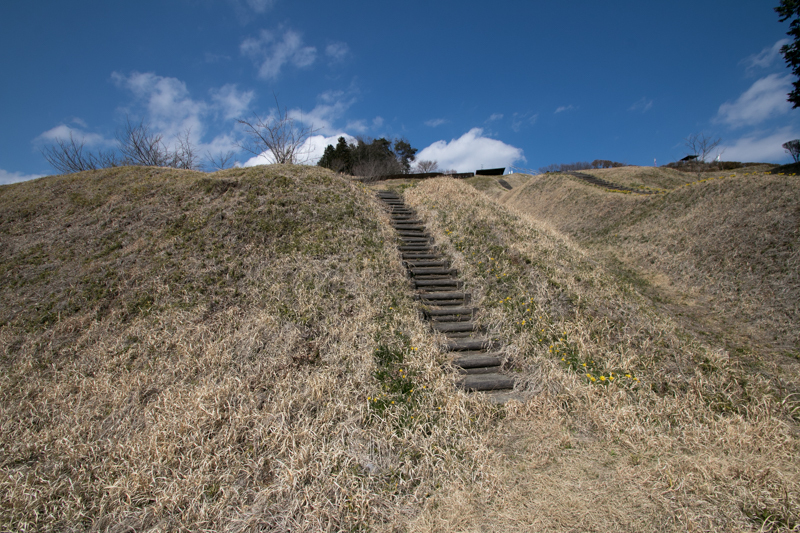 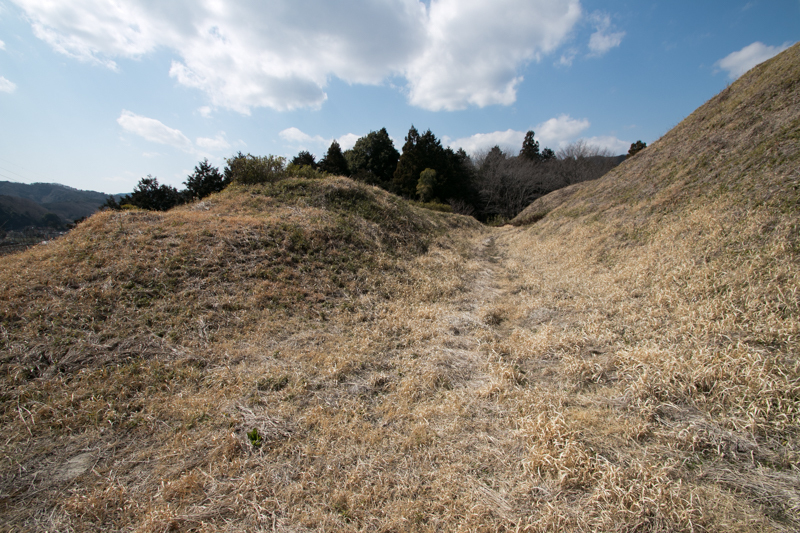 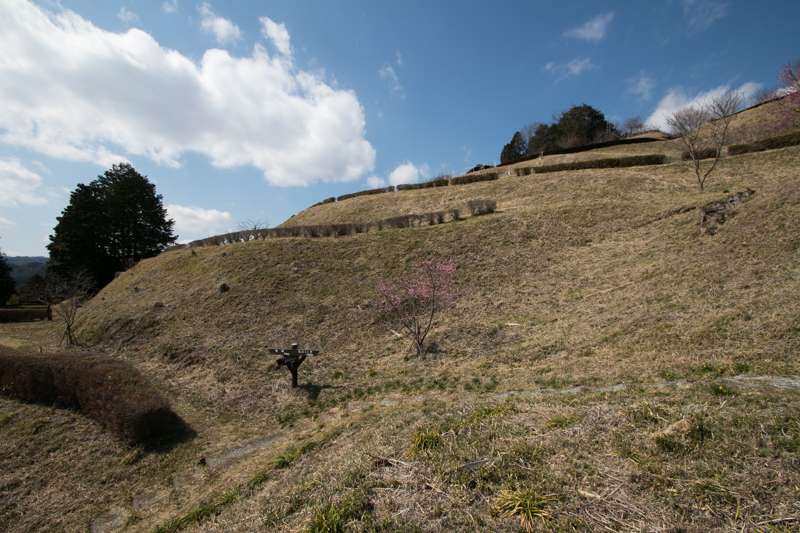 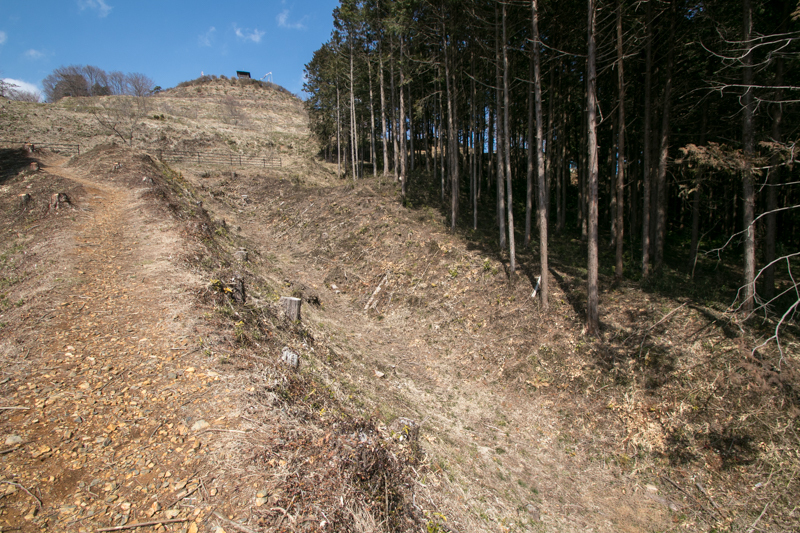 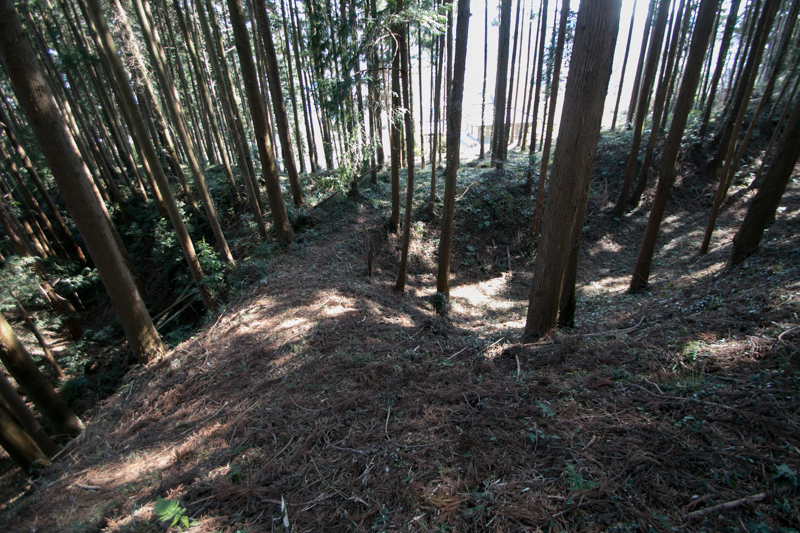 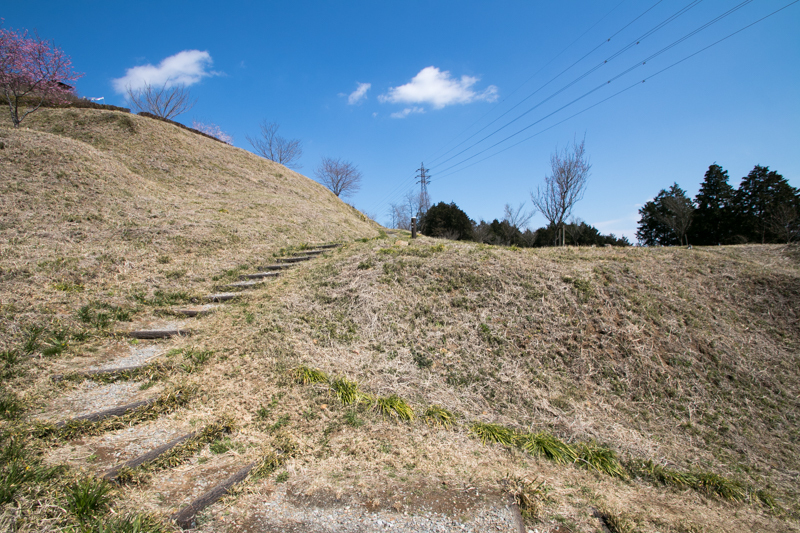 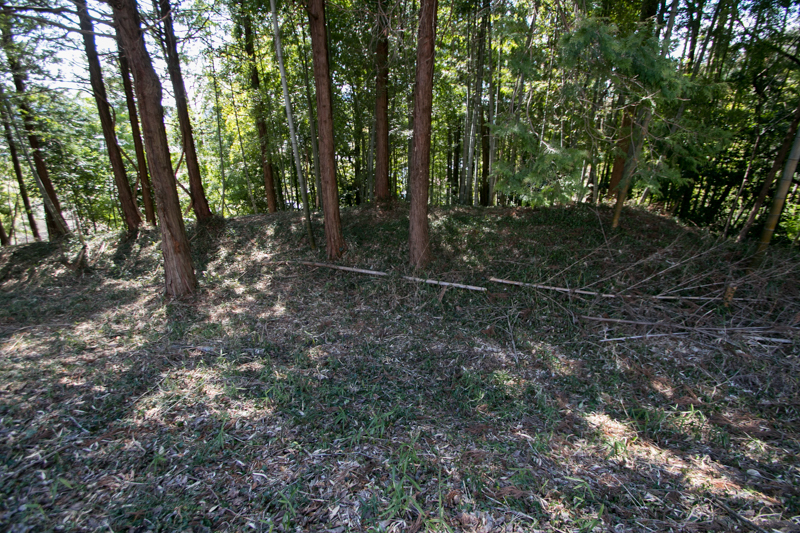 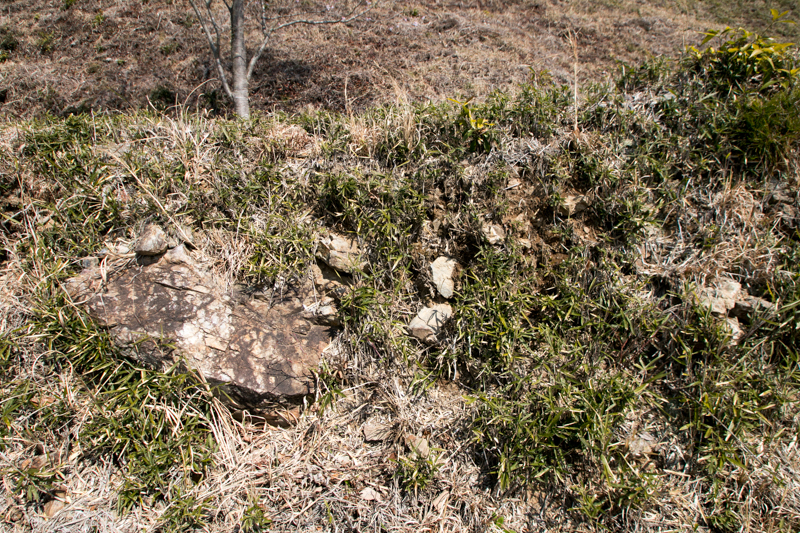 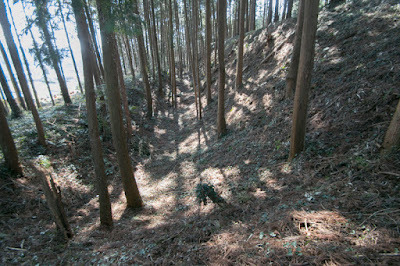 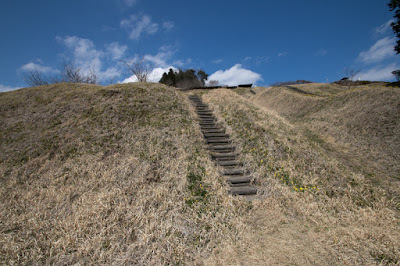 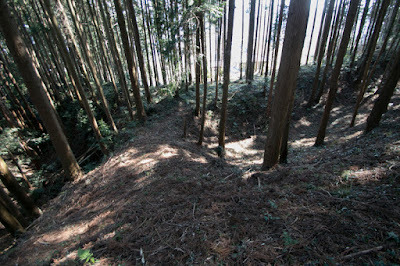 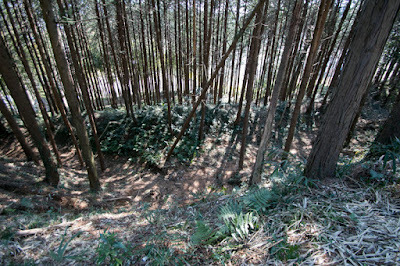 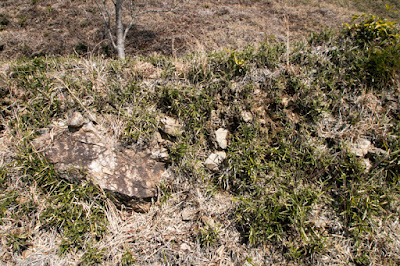 Slopes of mountain is processed into several layer of terraces and steep walls from hilltop to hillside, and vertical dry moats are made to obstruct horizontal movement of enemy. 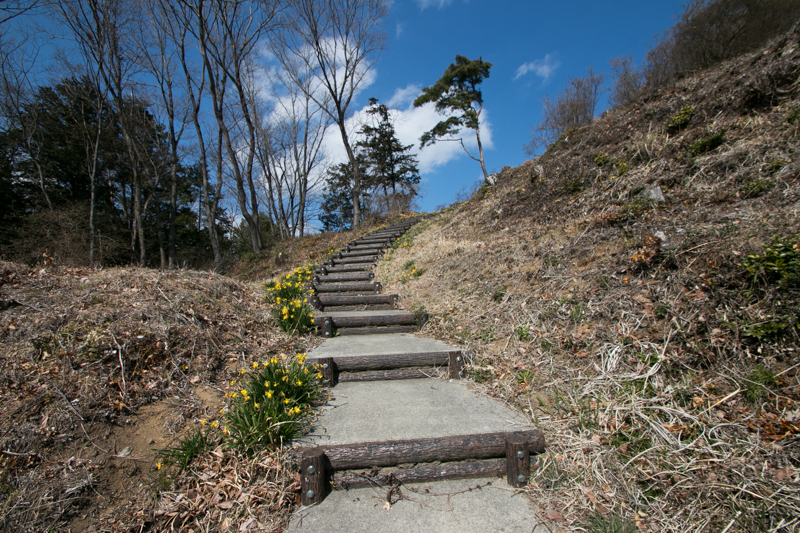 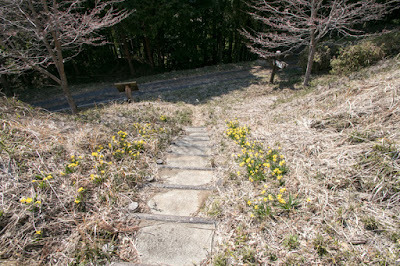 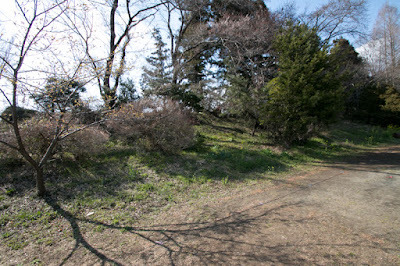 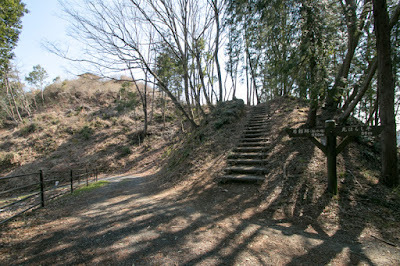 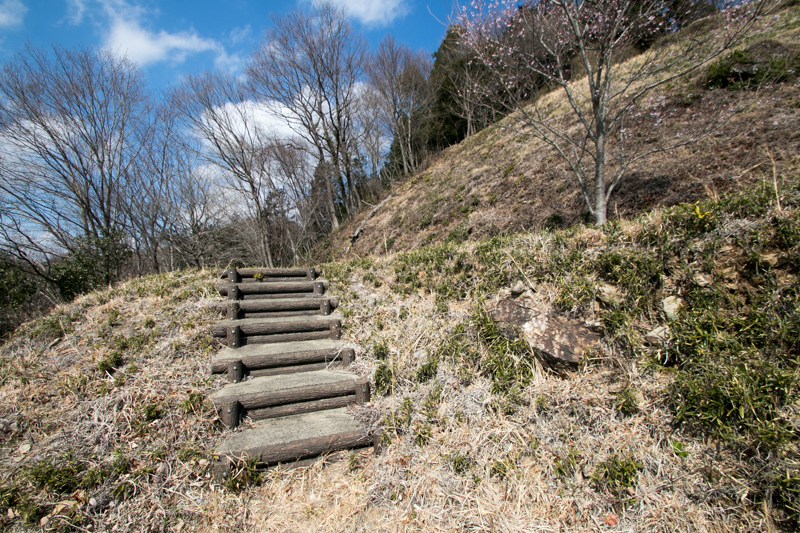 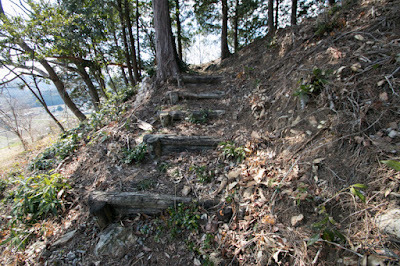 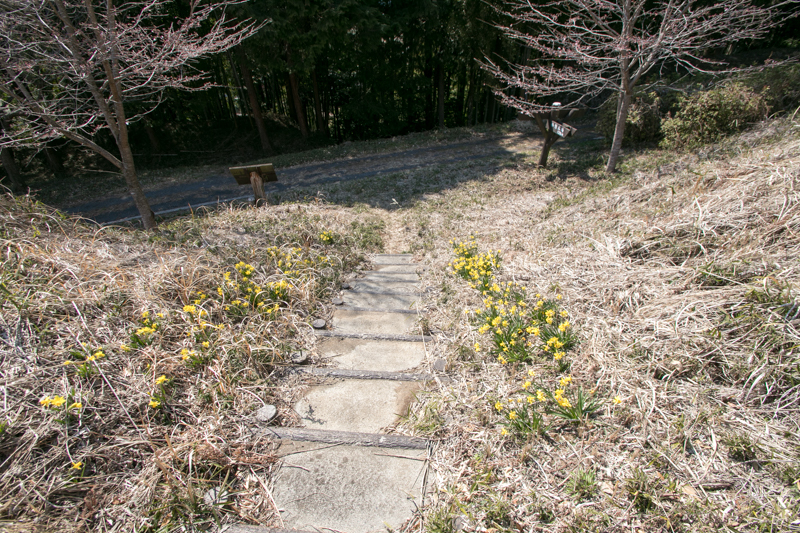 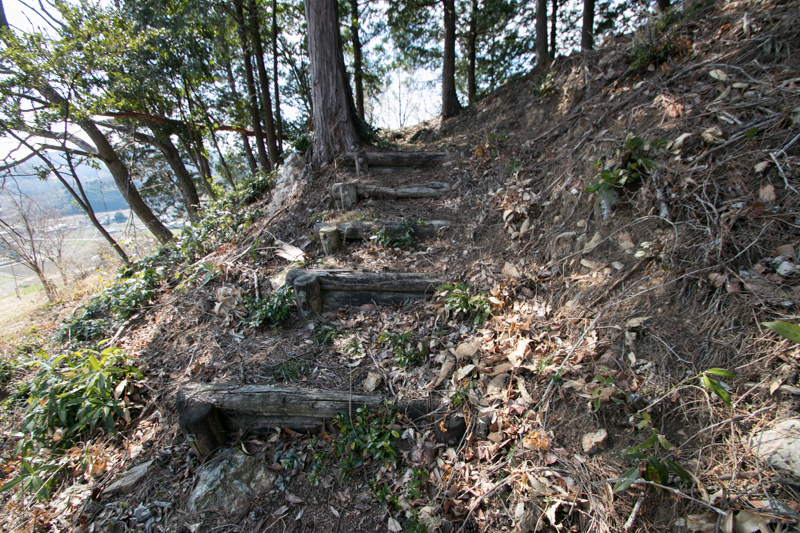 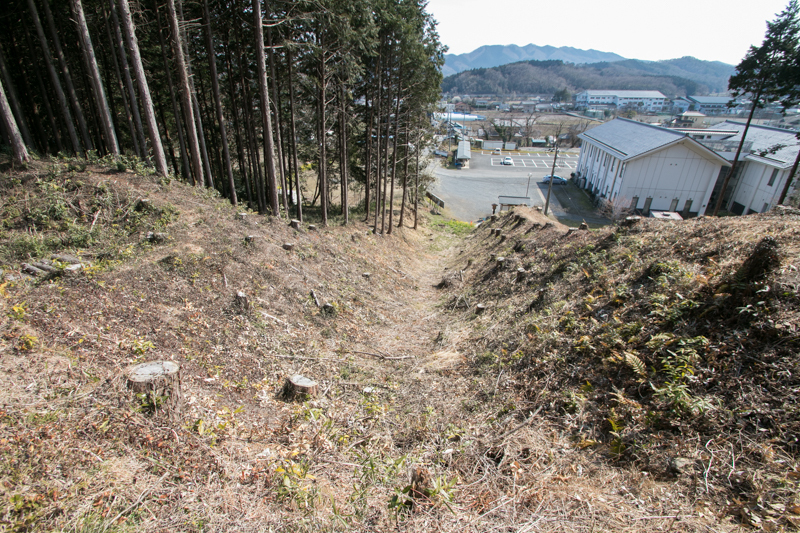 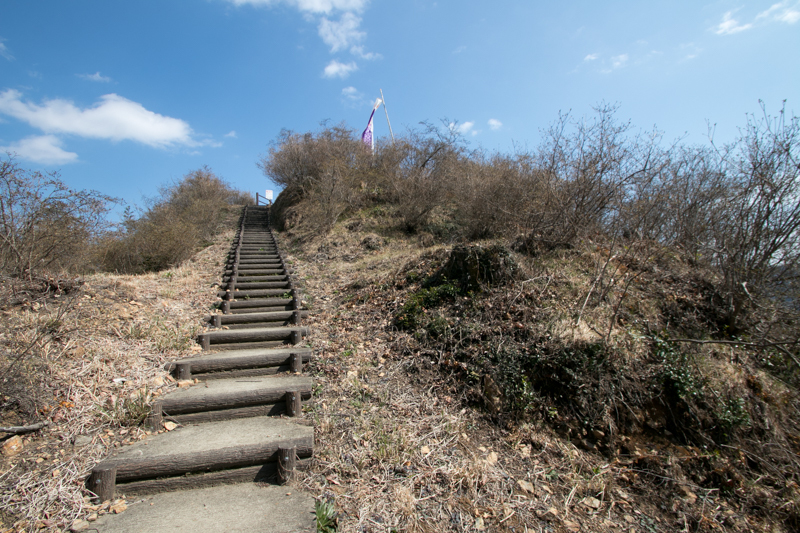 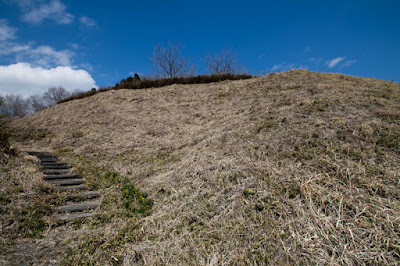 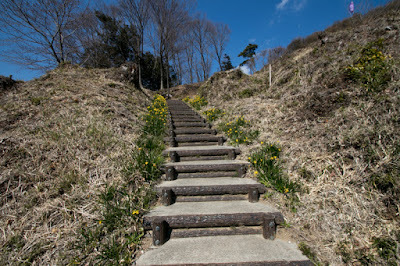 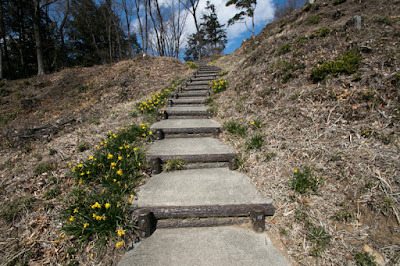 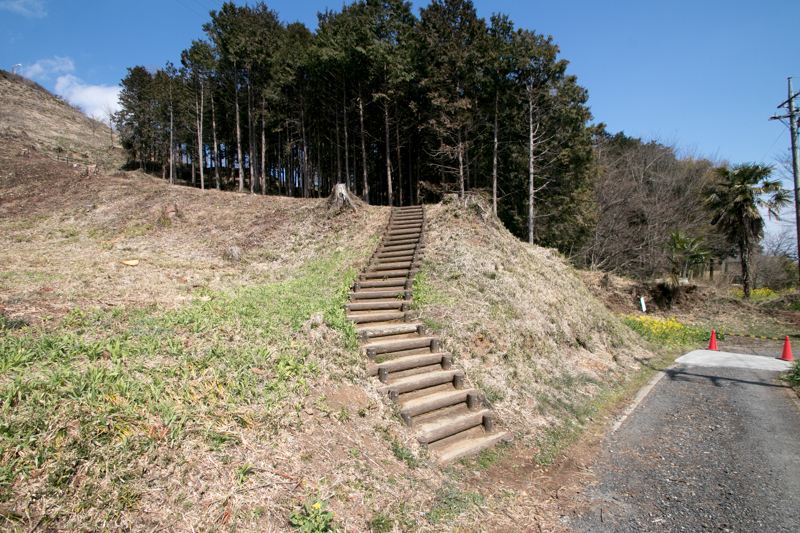 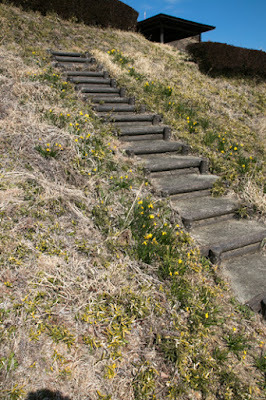 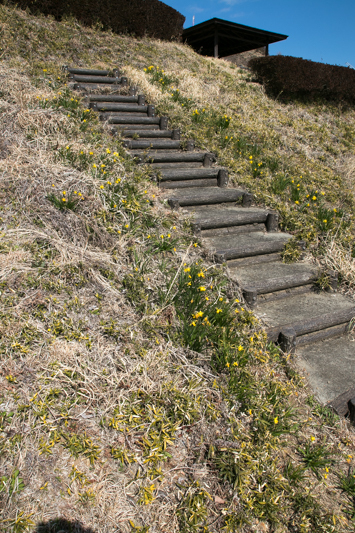 As the slope is processed, the stairway connecting each terrace become very steep and need caution to walk. 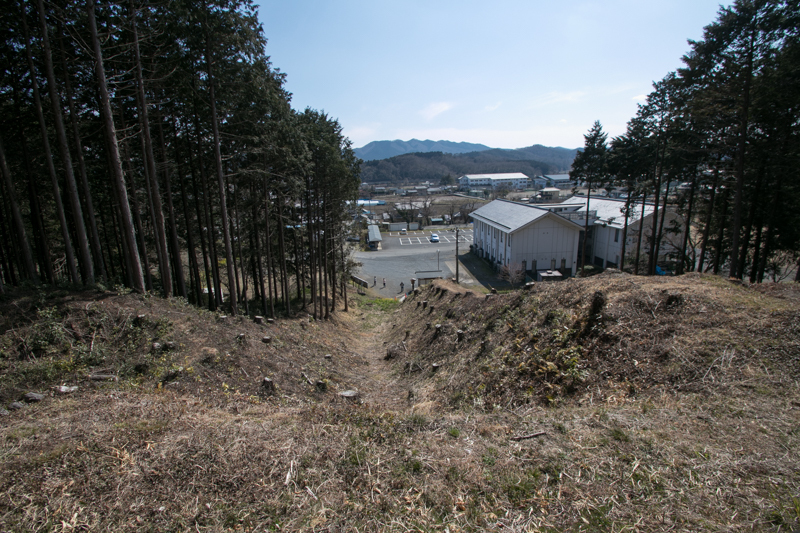 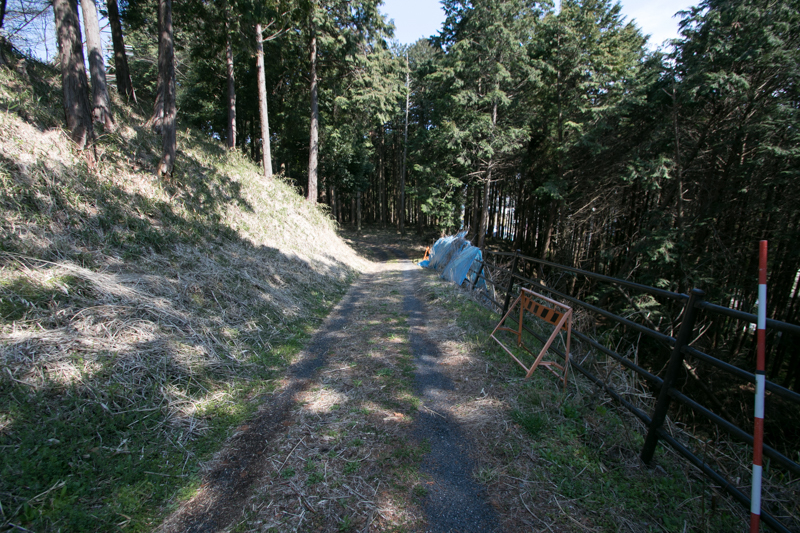 From hillside attackers could not climb to central area directly and had to trace winding roads exposed to attack from upward. 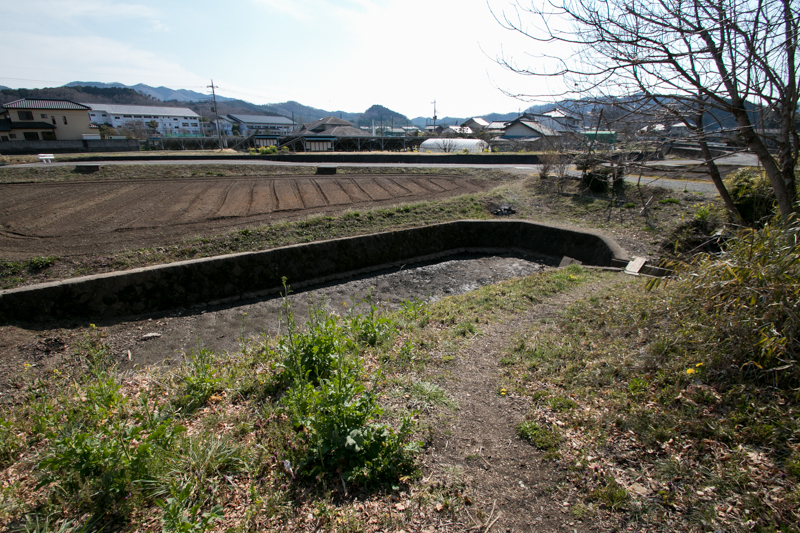 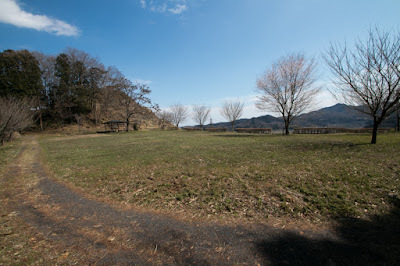 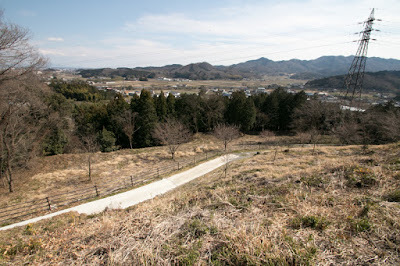 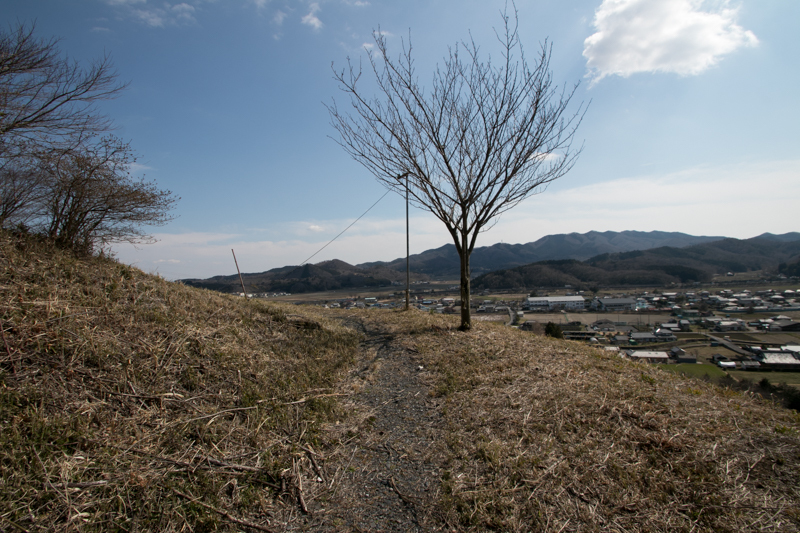 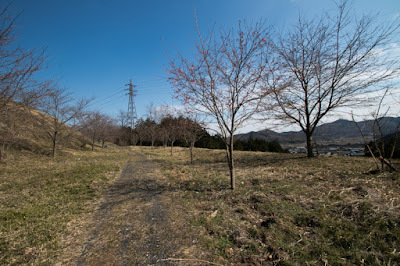 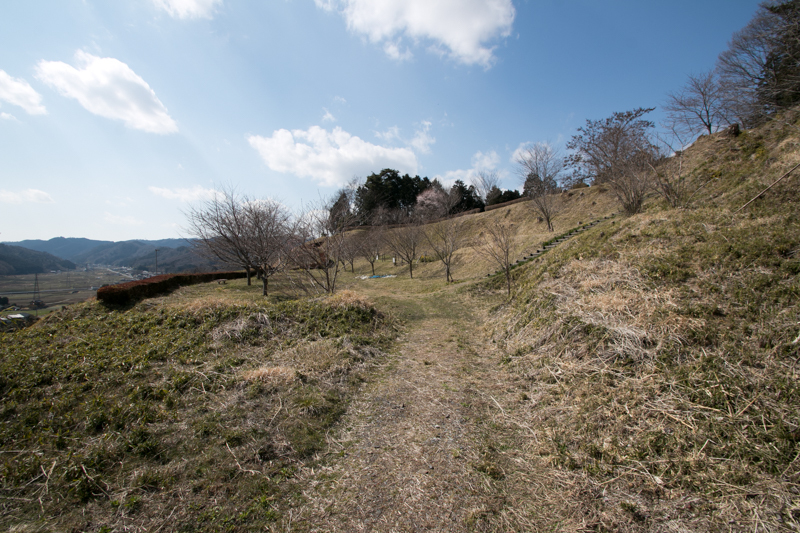 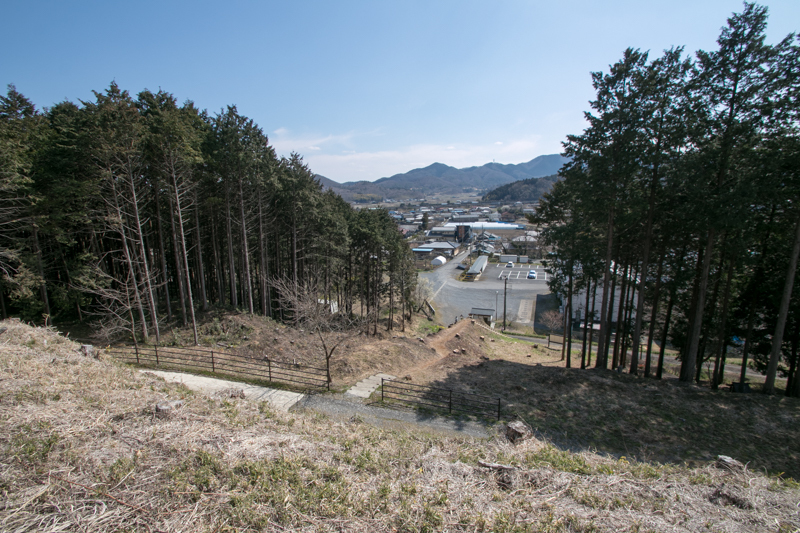 In front of the mountain there is a large flat area used for the residence of lord, and outer barrier wholly surrounds mountain and this residence place. 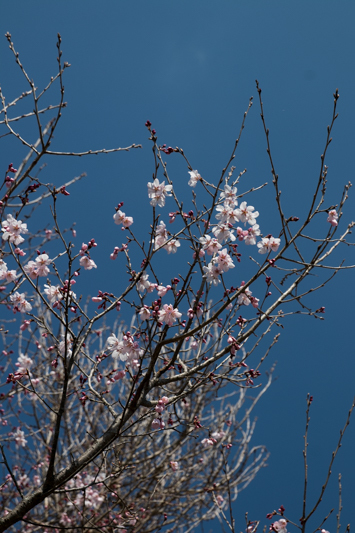 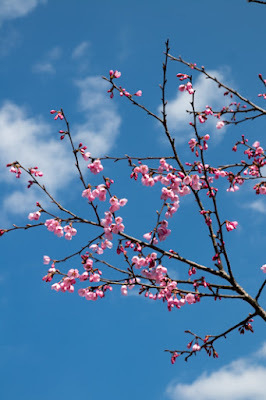 At the north of Minagawa clan and Oyama clan there was Utsunomiya clan, also a traditional clan at Utsunomiya castle which was also regarded as eight traditional clans in Kanto area, and Utsunomiya clan and Oyama clan fiercely struggled for territory. 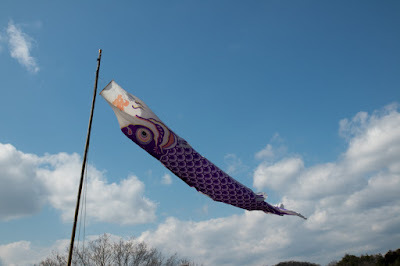 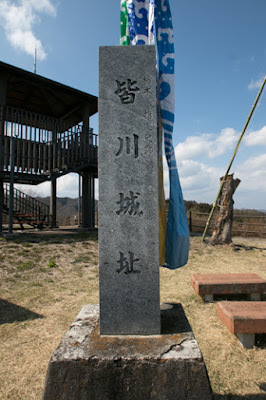 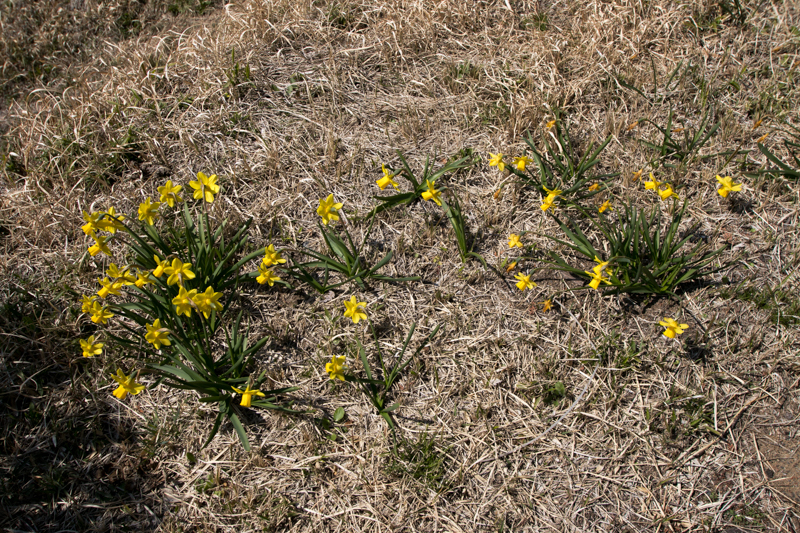 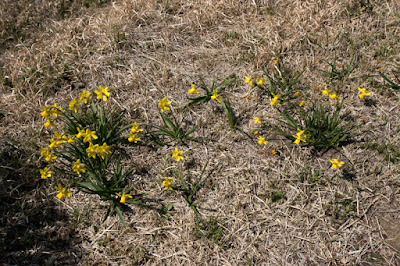 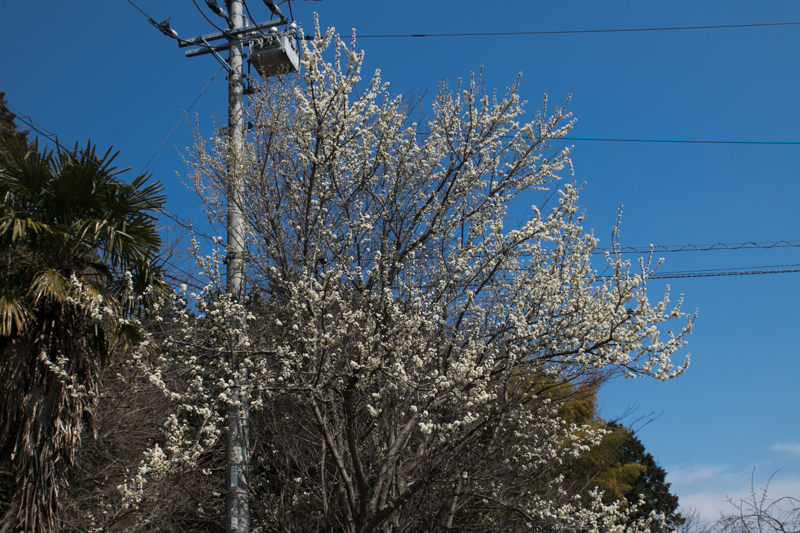 Due to its origin Minagawa clan supported Oyama clan and fought against Utsunomiya clan. One time MInagawa clan was attacked by Utsunomiya clan but rejected them, and another time Minagawa clan occupied Utsunomiya castle and temporally controlled Utsunomiya clan but was finally expelled. 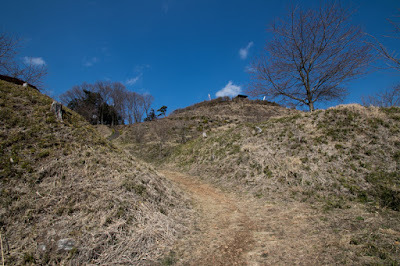 In the meantime, the influence of Hojo clan, a warlord of Sagami country (Kanagawa prefecture) and already seized south and middle area of Kanto plain, began to reach to north Kanto area in 1580's. 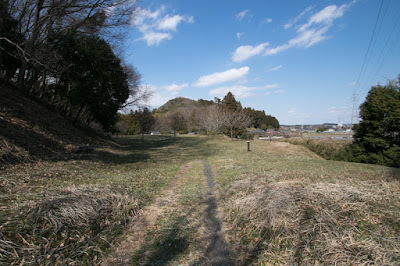 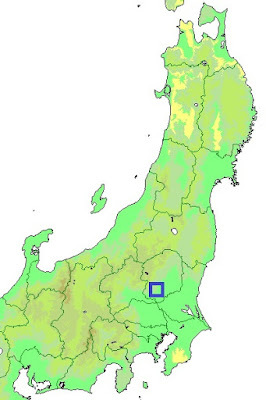 Facing this expansion of Hojo clan, in spite of past conflict Minagawa clan and Oyama clan resisted to Hojo clan cooperating with Utsunomiya clan, but due to the attack of Hojyo clan, Oyama clan was extinguished and Minagawa clan also surrendered to Hojo clan. 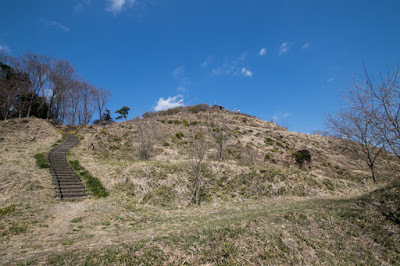 At the time of Odawara campaign against Hojyo clan by central ruler Hideyoshi Toyotomi (1537-1598), Minagawa clan besieged at Odawara castle but surrendered to Hideyoshi in early stage, and was approved to continue. 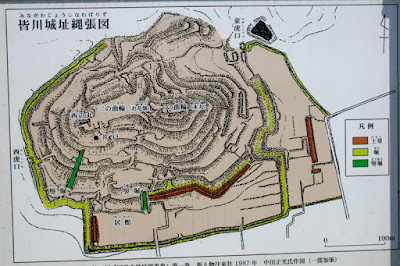 Minagawa clan newly built Tochigi castle and moved, then Minagawa castle was abolished then. Later Minagawa clan supported Ieyasu Tokugawa (1543-1616) at the battle of Sekigahara in 1600 and became a vassal of Tadateru Matsudaira (1592-1683), the sixth son of Ieyasu, but involved in the internal conflict of Matsudaira clan and lost their position as a feudal lord. 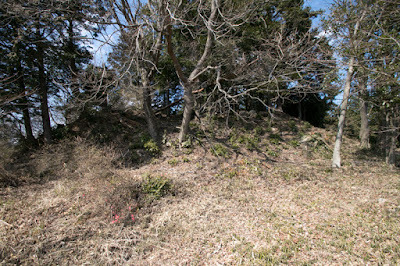 Now all building was lost but terraces of the castle well remain on the mountain. 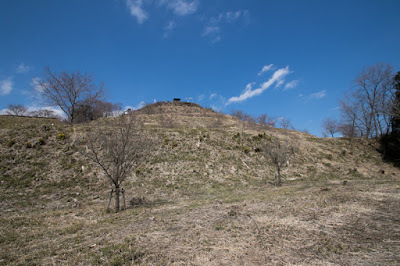 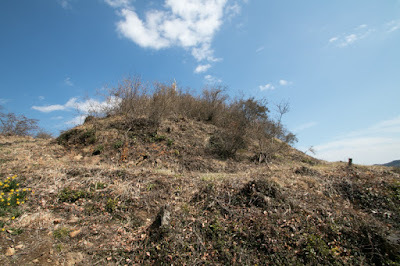 In addition to this, the ground used for the palace at hillside and outer barrier generally keeps their original form, and it is a valuable place as a composite ruin of mountain castle and hillside residence built by powerful local lord in medieval era. 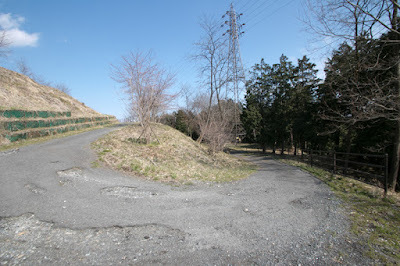 10 minutes drive from Tohoku Jidoshado Expressway Tochigi interchange to hillside parking at Minagawa Kominkan-hall.